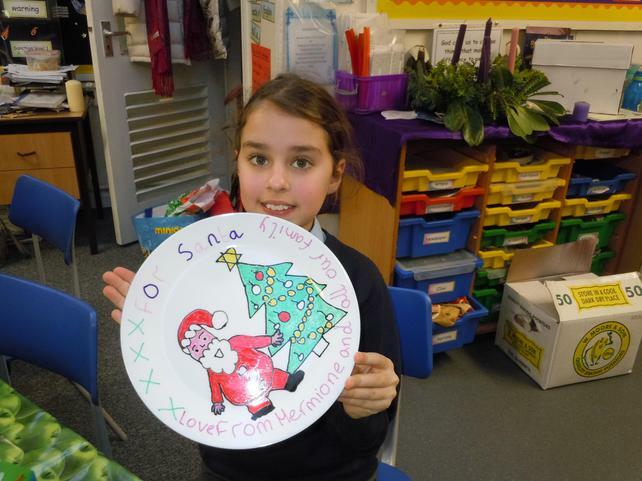 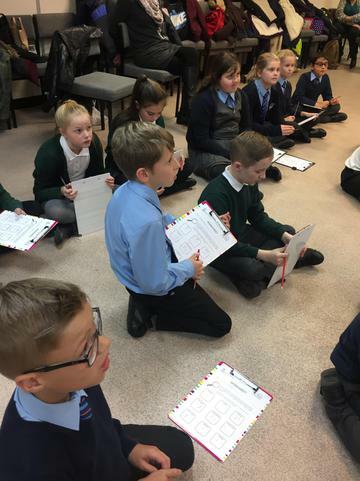 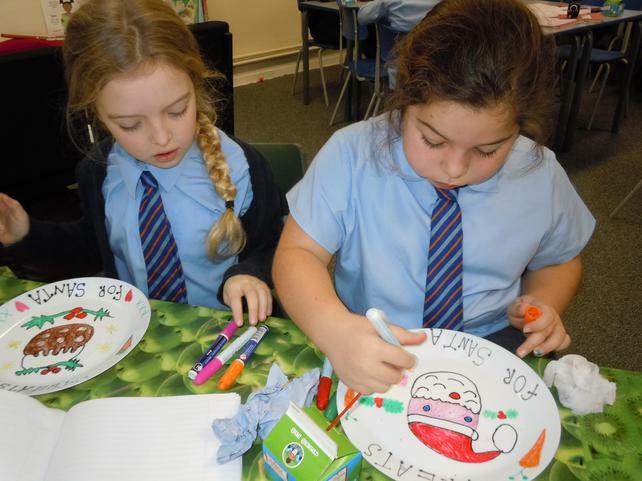 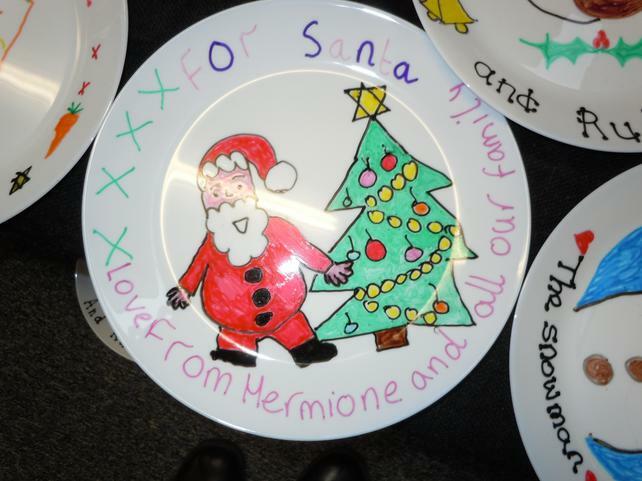 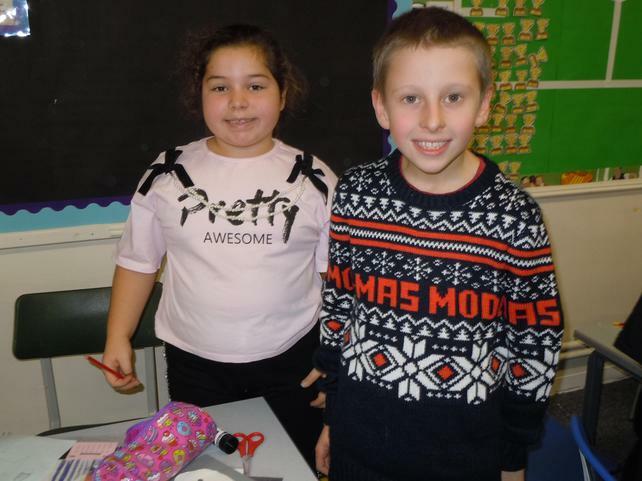 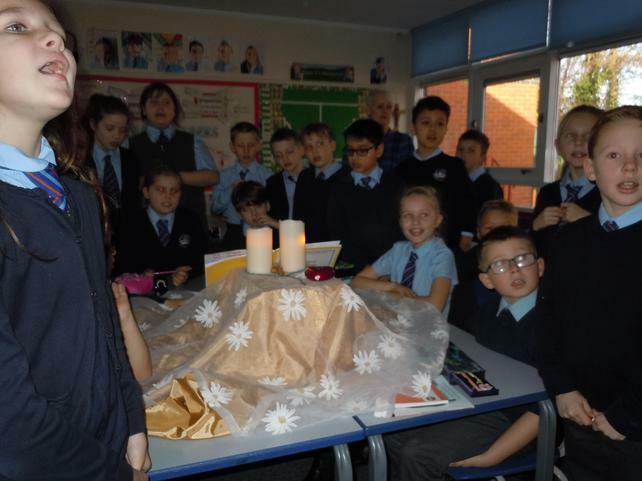 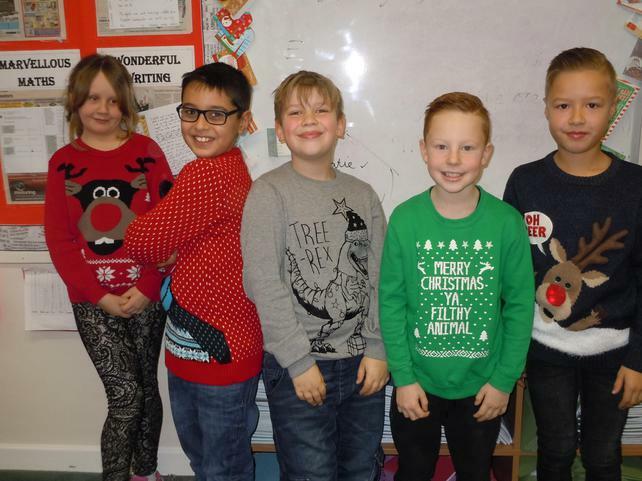 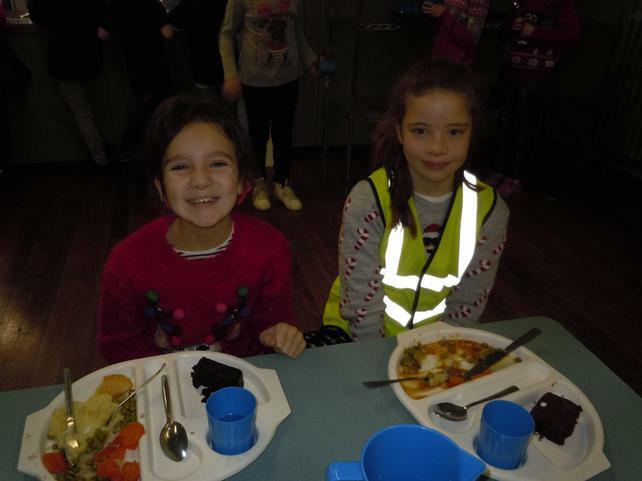 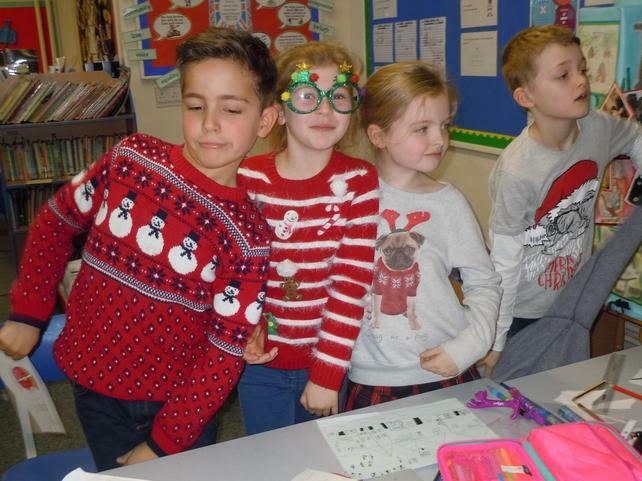 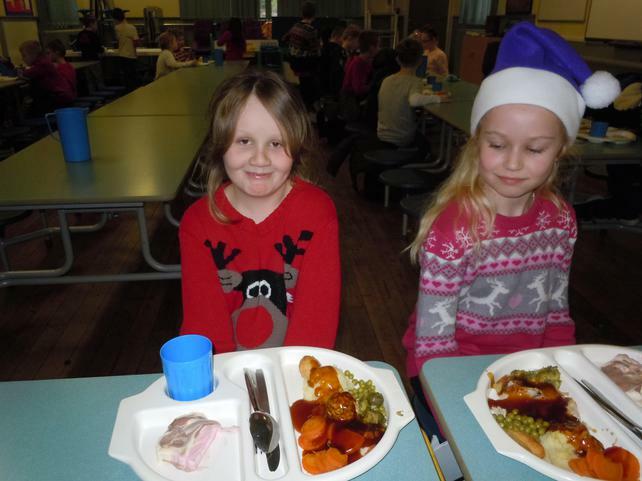 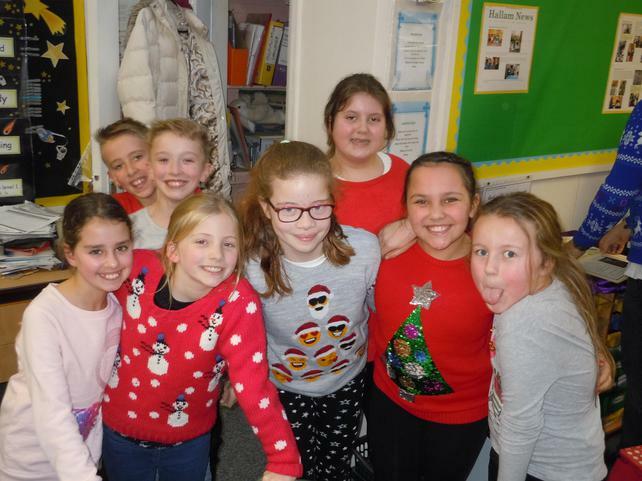 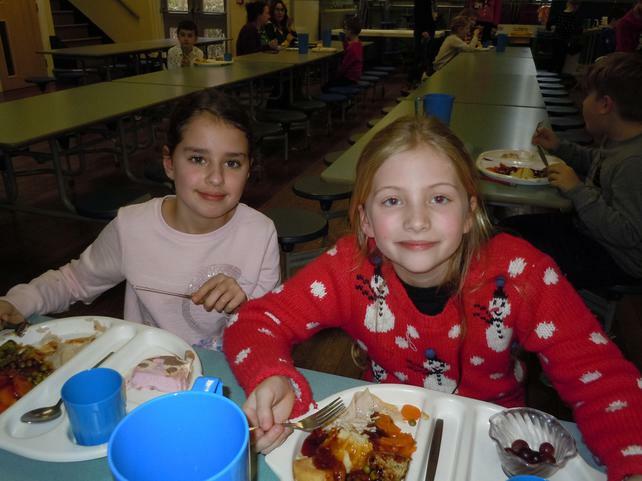 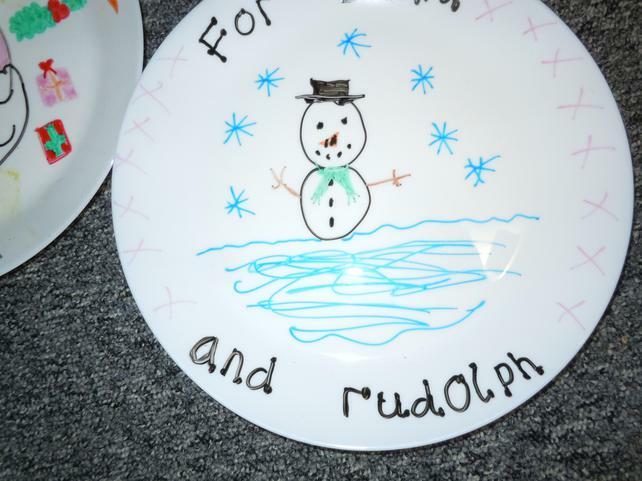 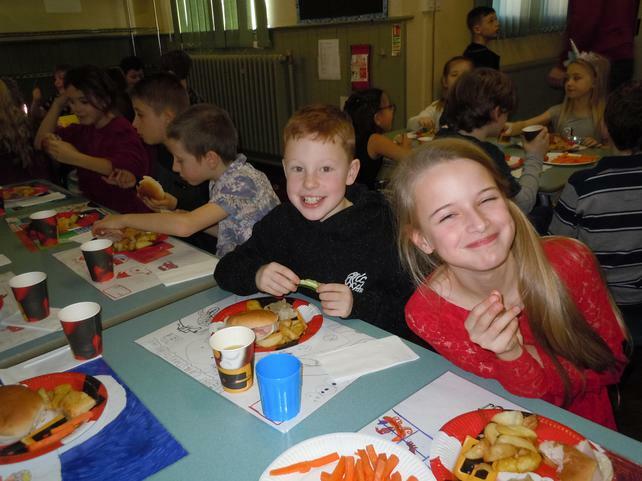 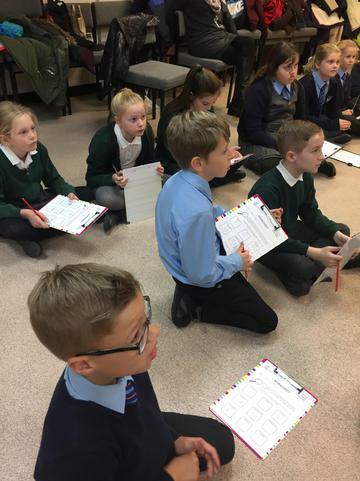 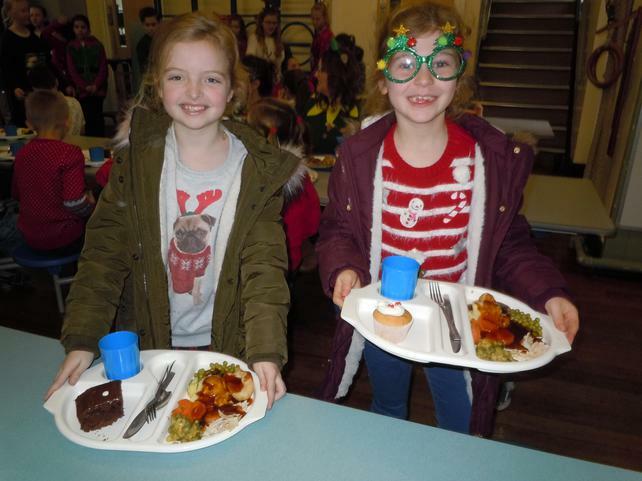 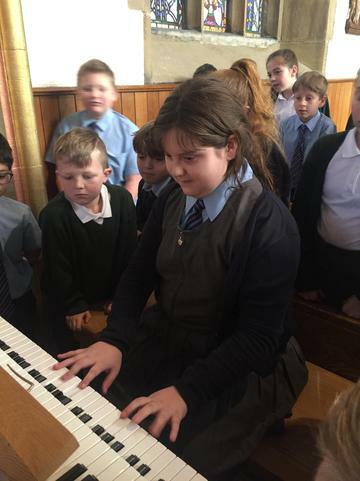 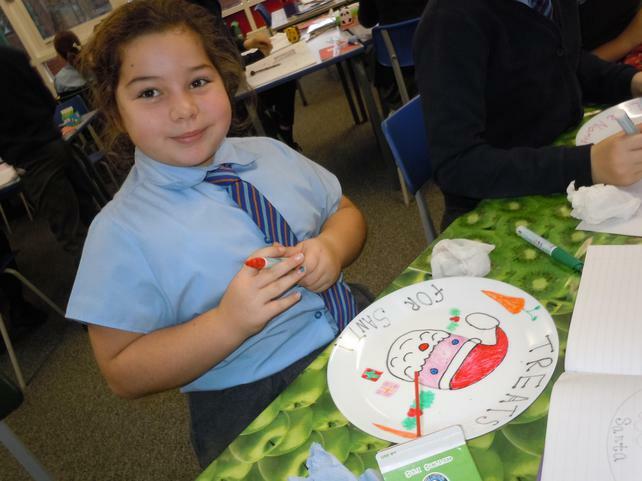 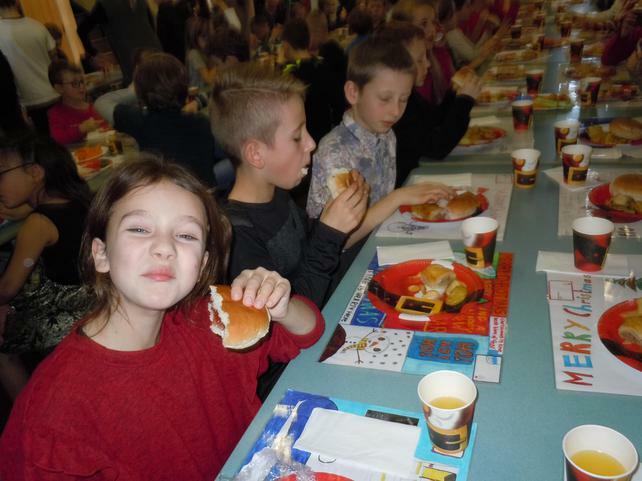 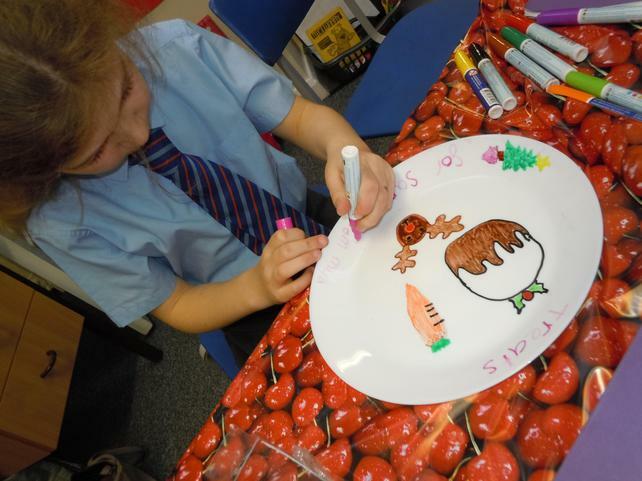 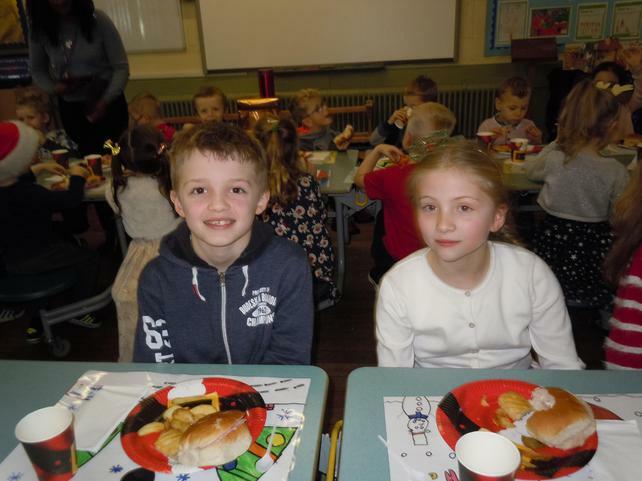 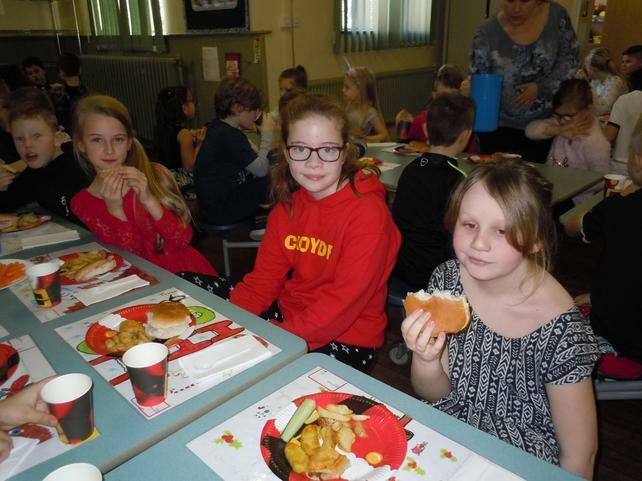 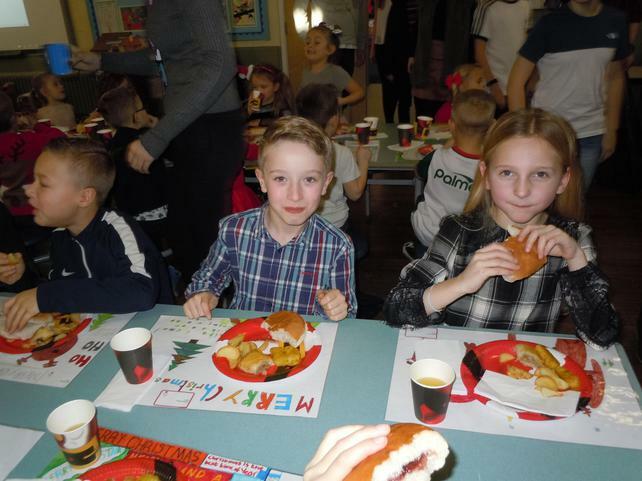 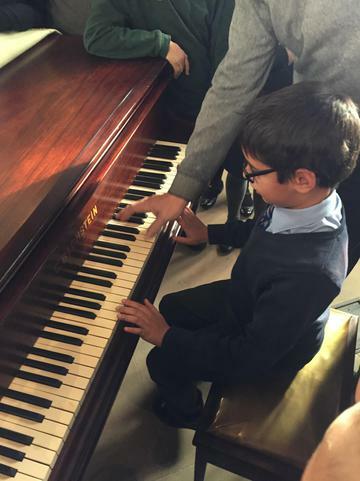 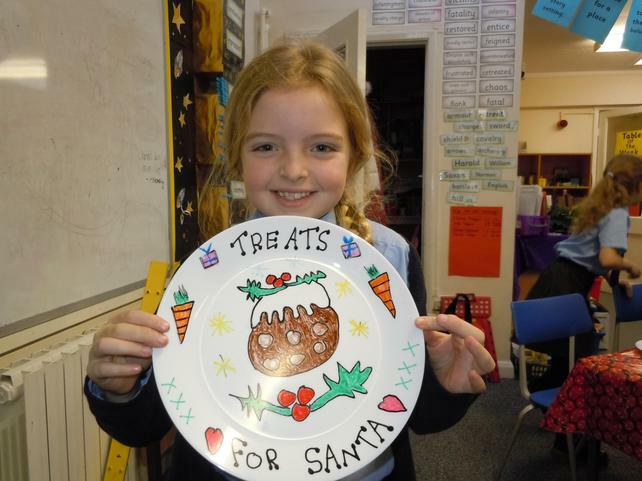 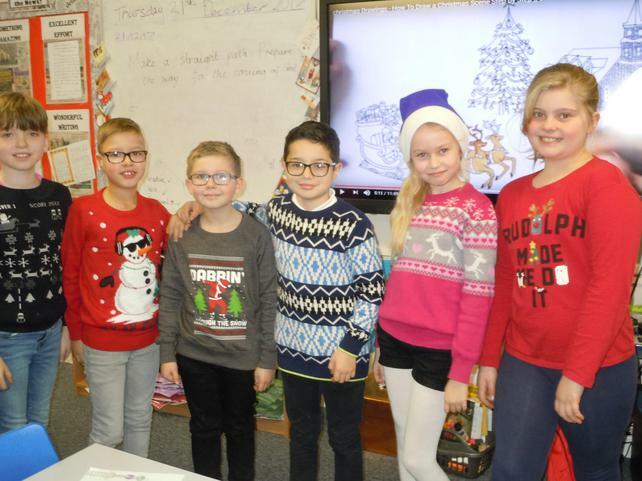 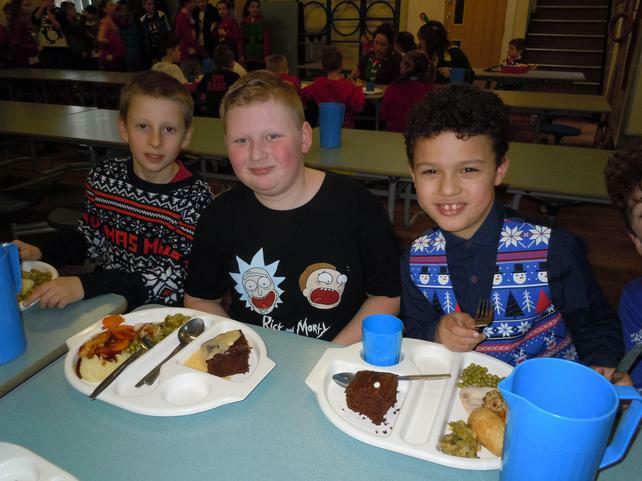 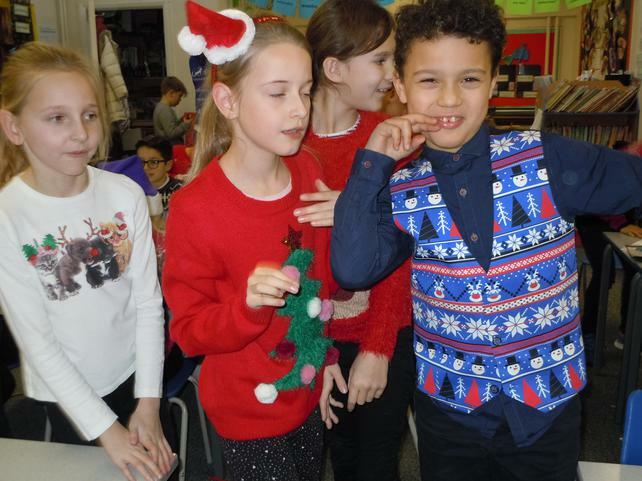 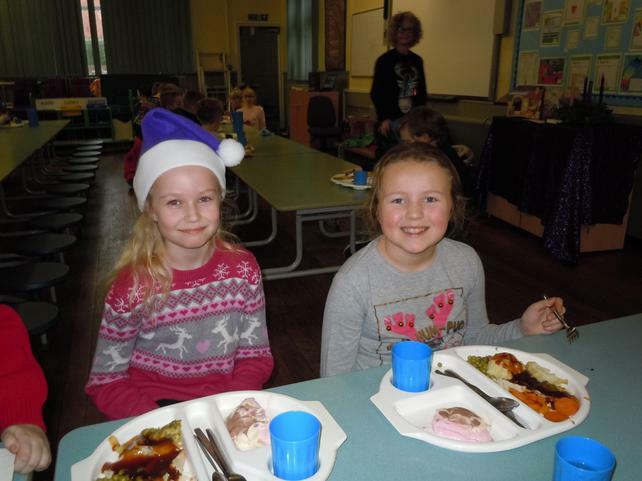 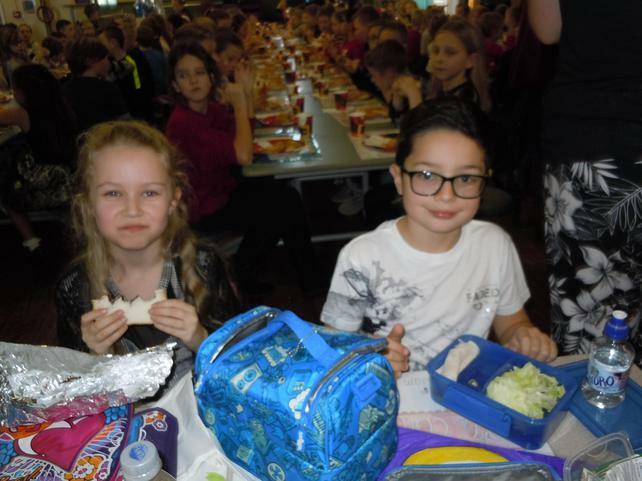 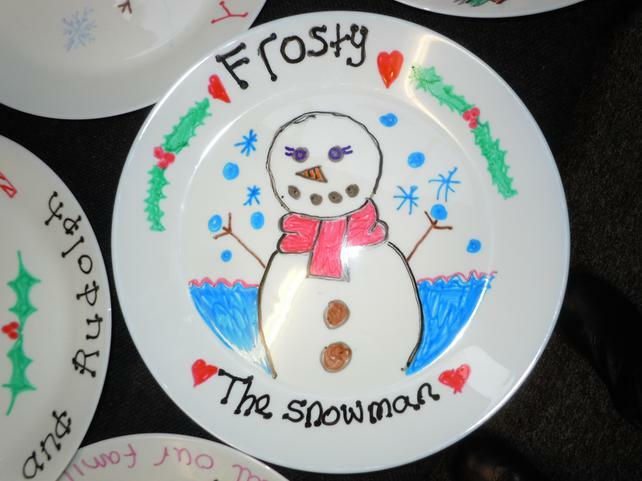 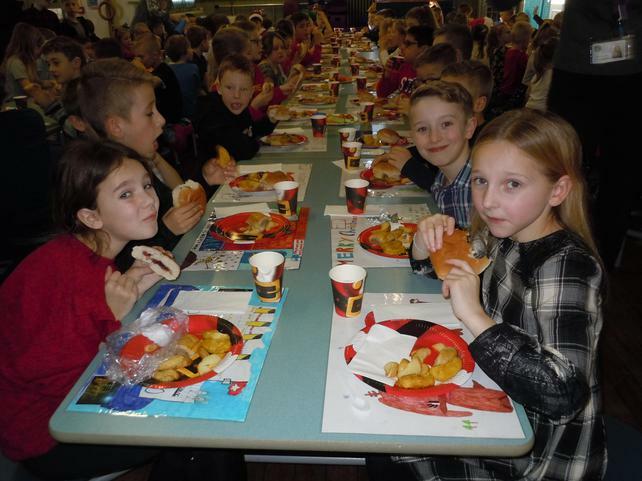 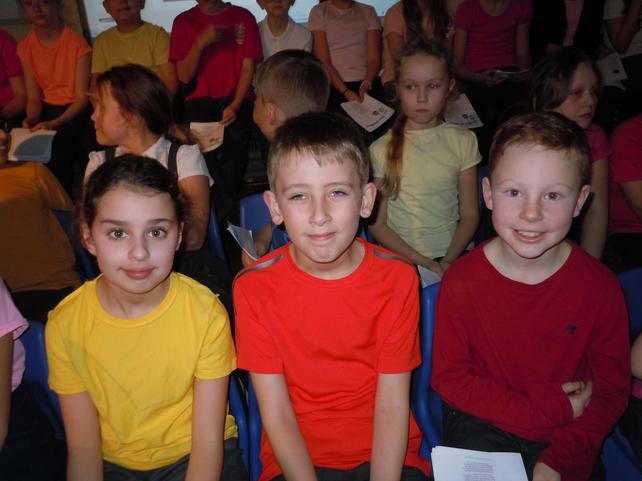 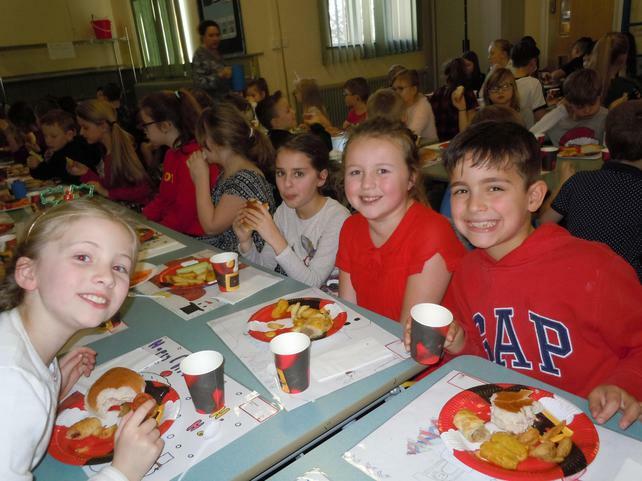 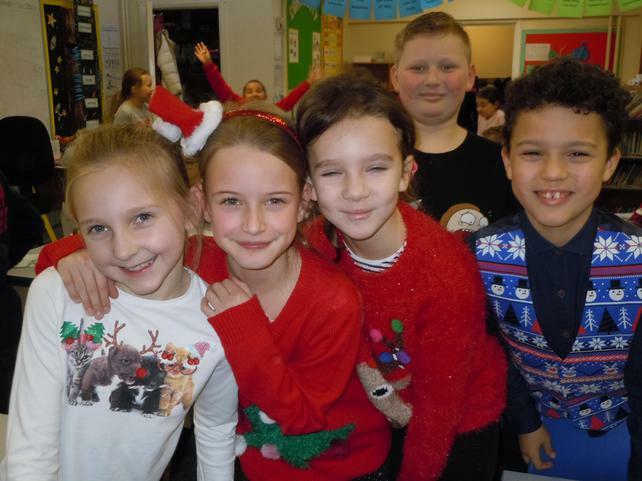 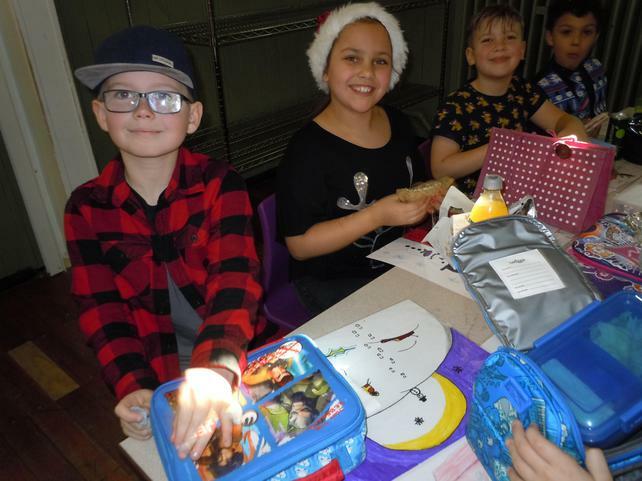 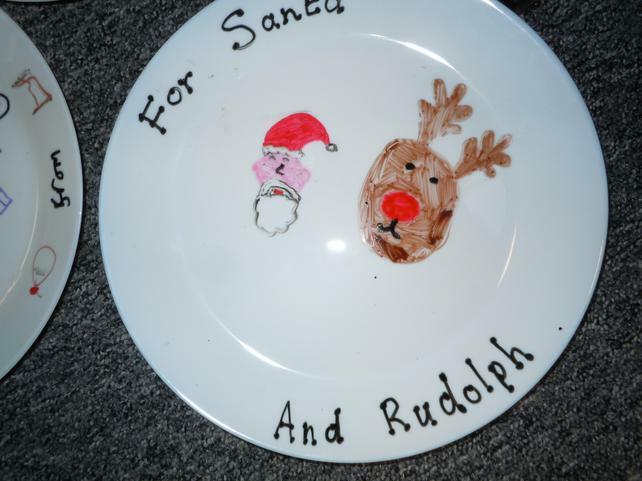 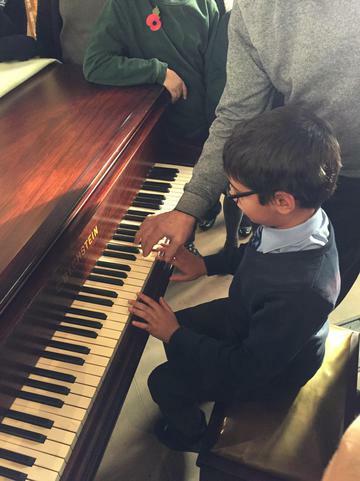 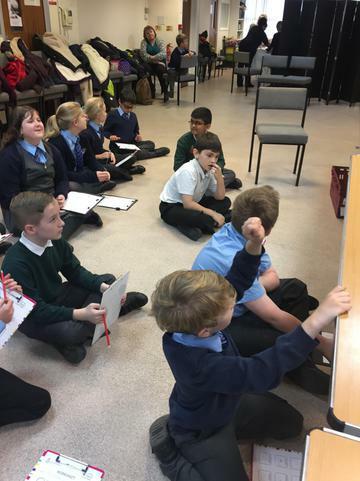 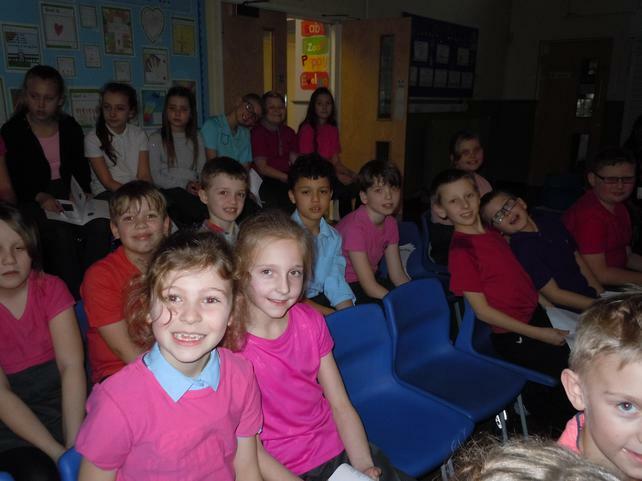 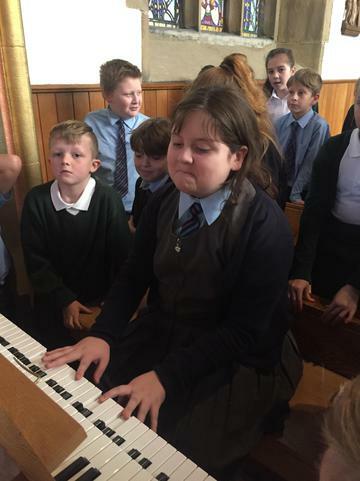 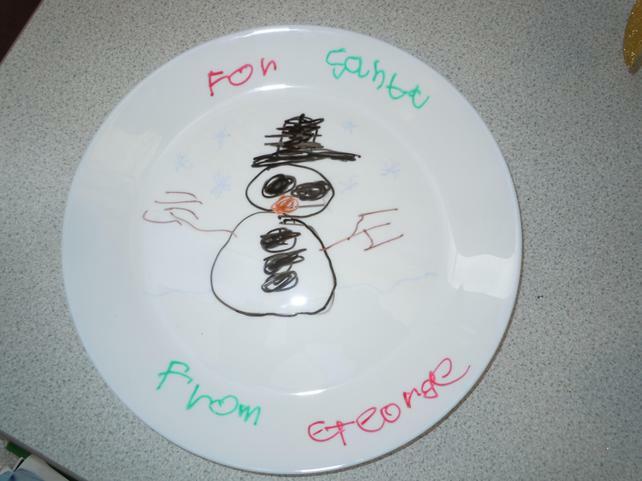 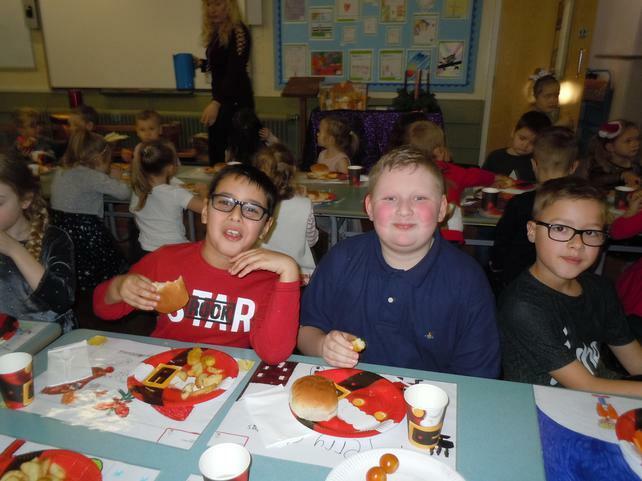 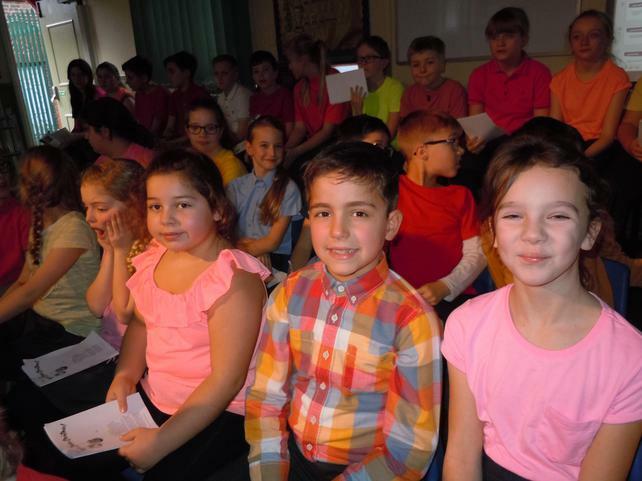 Class 4 have enjoyed the last week before Christmas: performing at the KS2 Carol Service, making cards and calendars, Christmas jumper day, Christmas dinner and of course class parties. 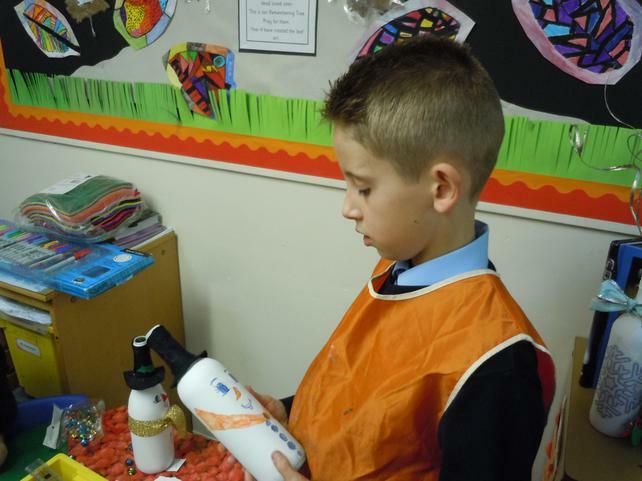 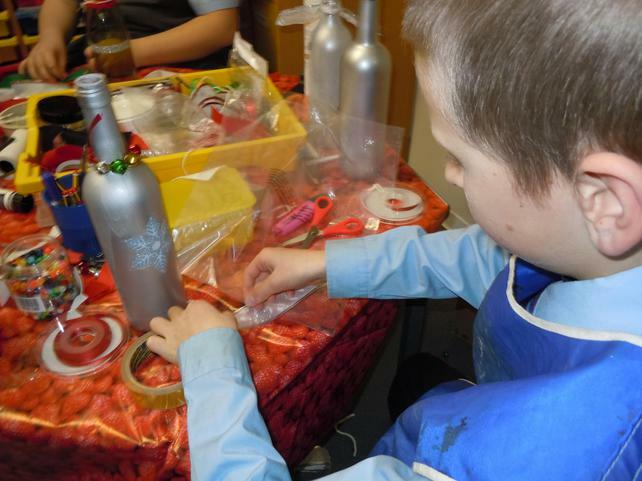 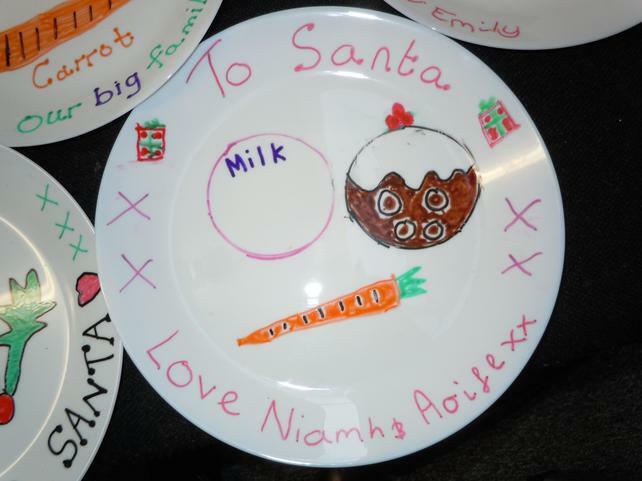 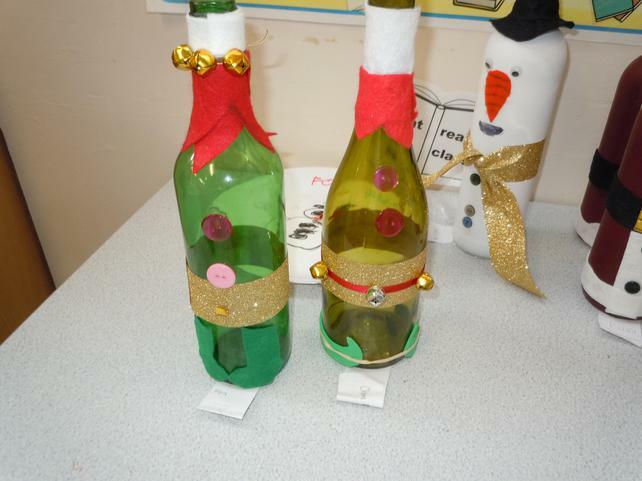 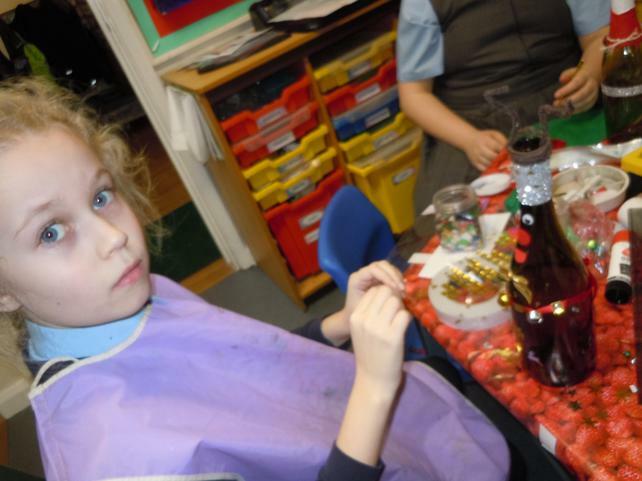 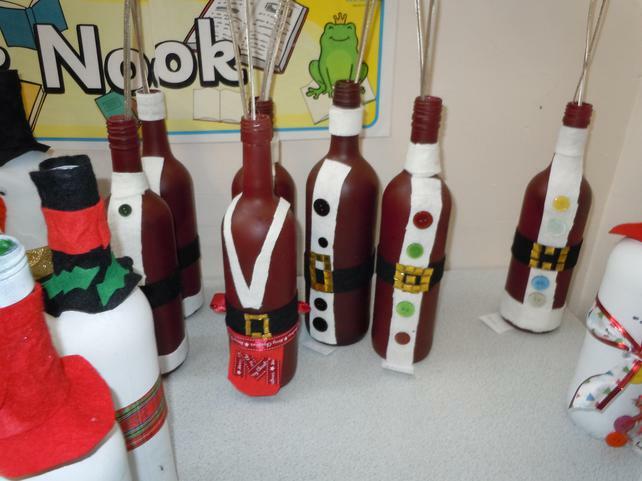 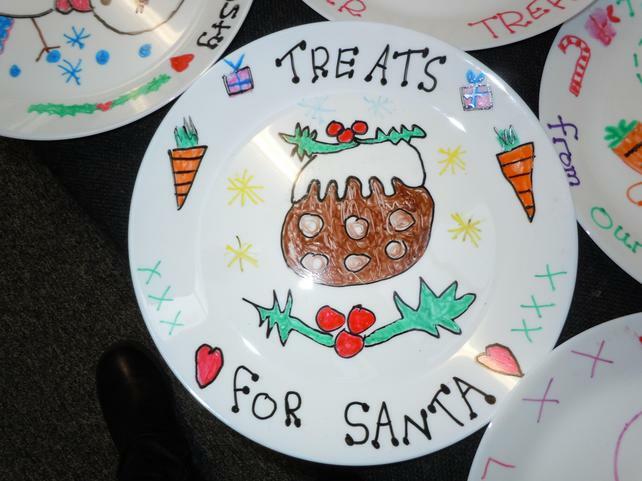 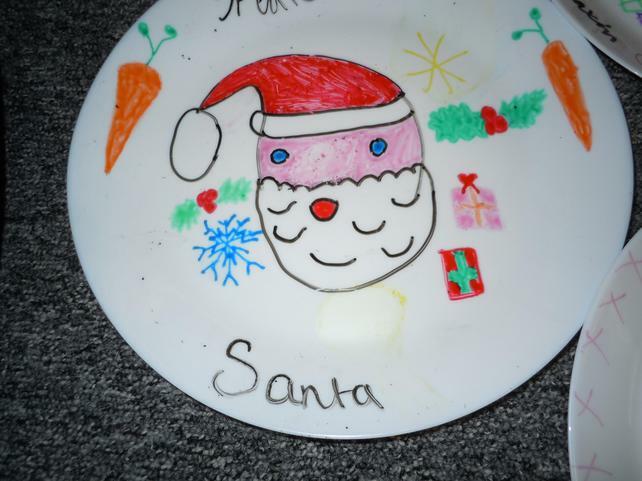 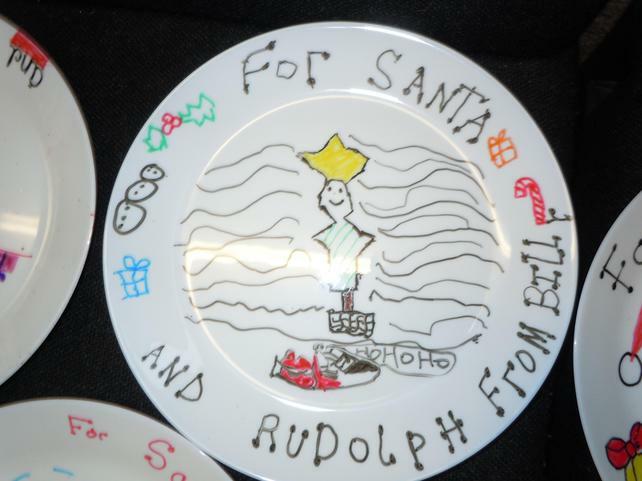 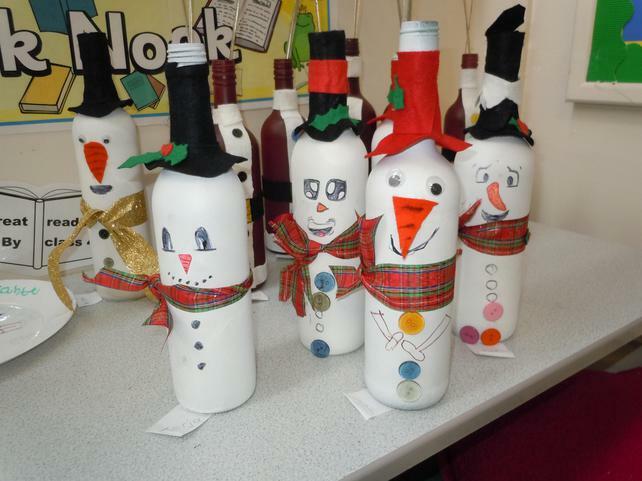 It's like Santa's grotto in class 4 this week; busy, busy, busy! 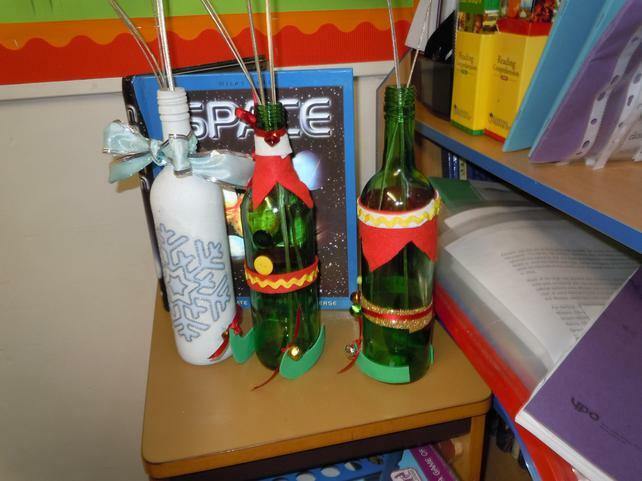 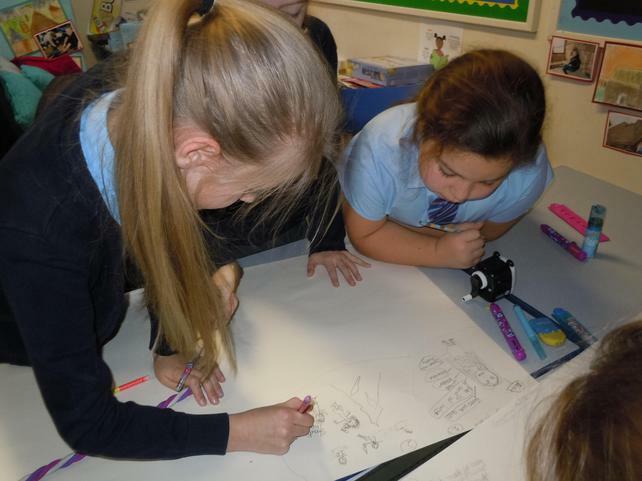 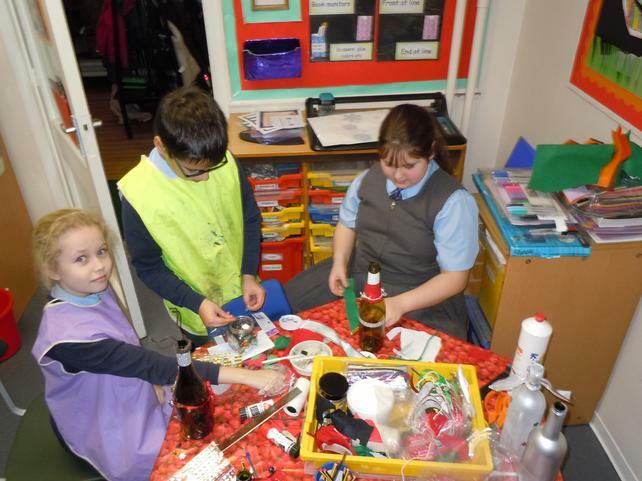 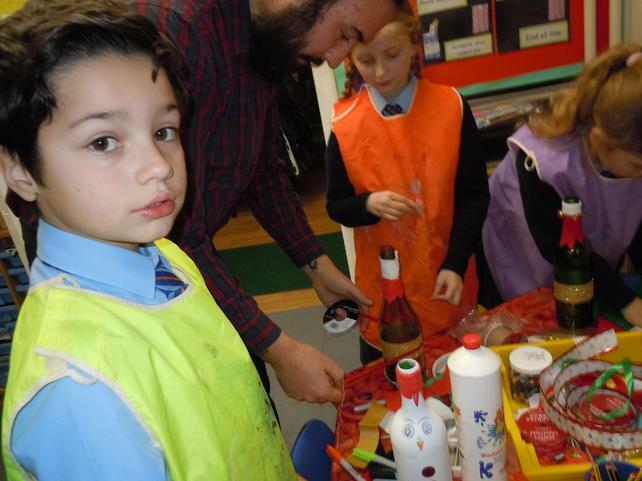 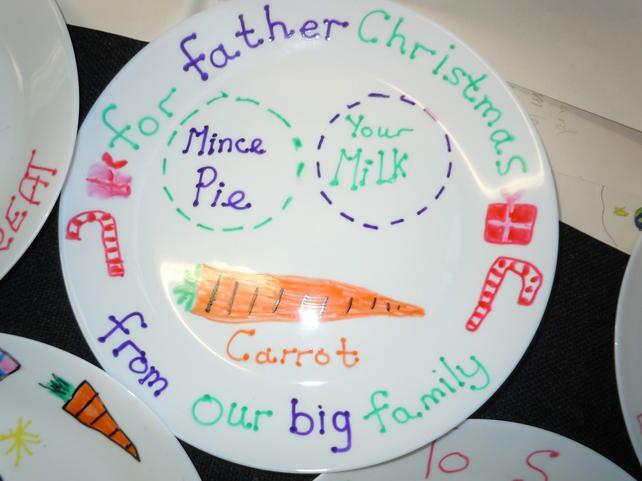 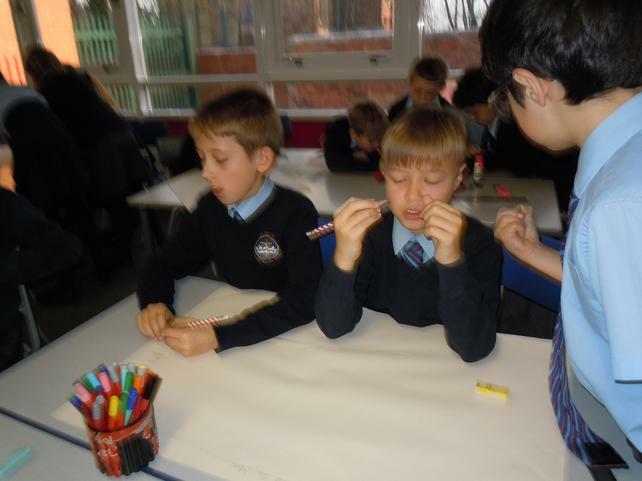 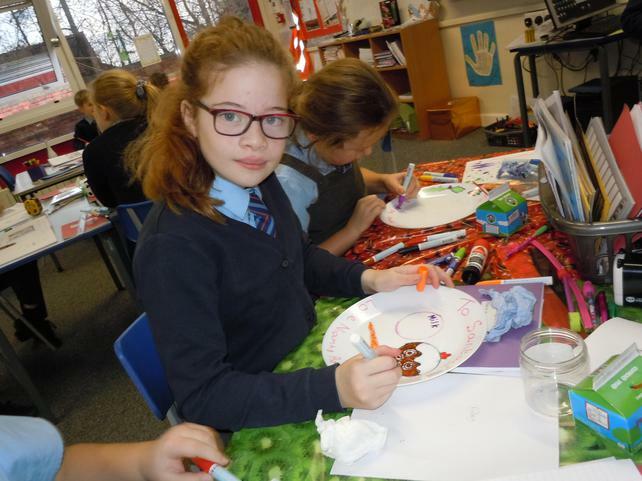 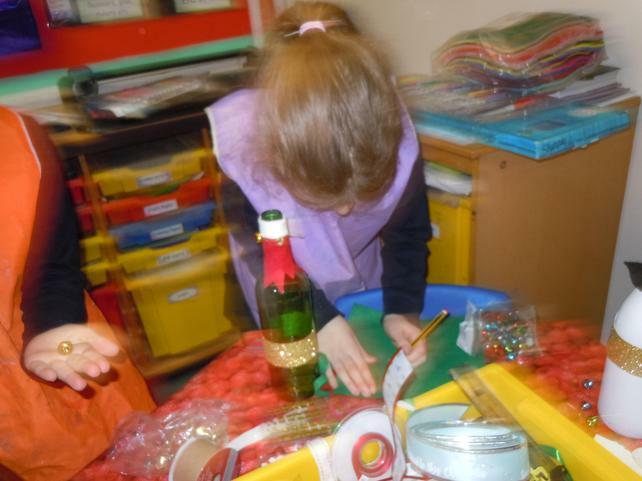 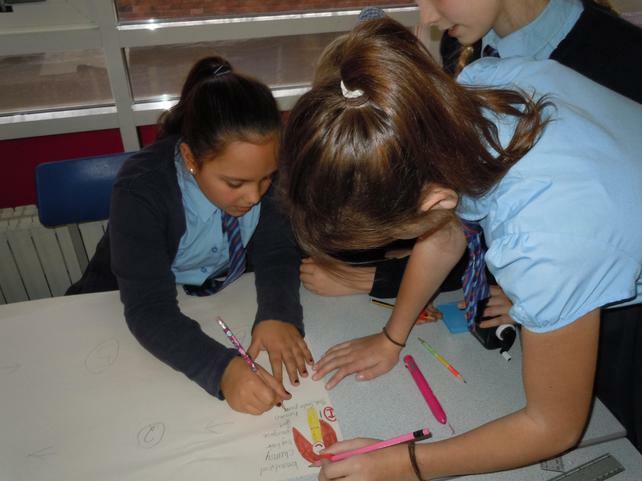 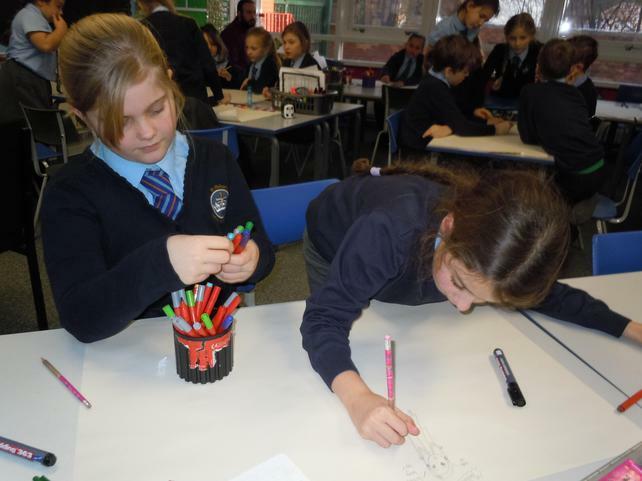 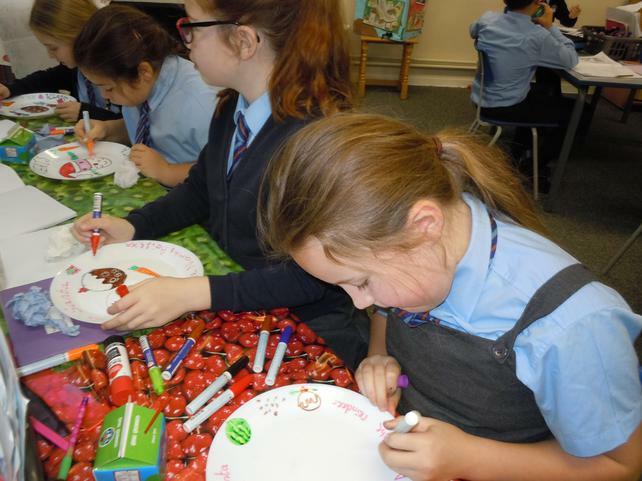 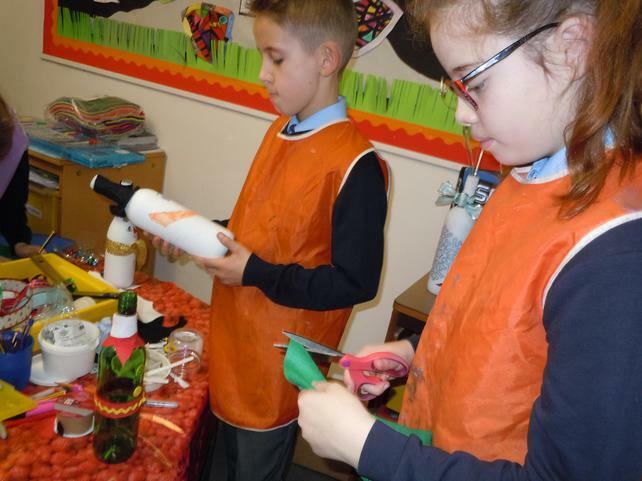 Busy with moon Myths, division, the Moon landing and making things to sell at the Christmas Fayre on Friday 15th December. 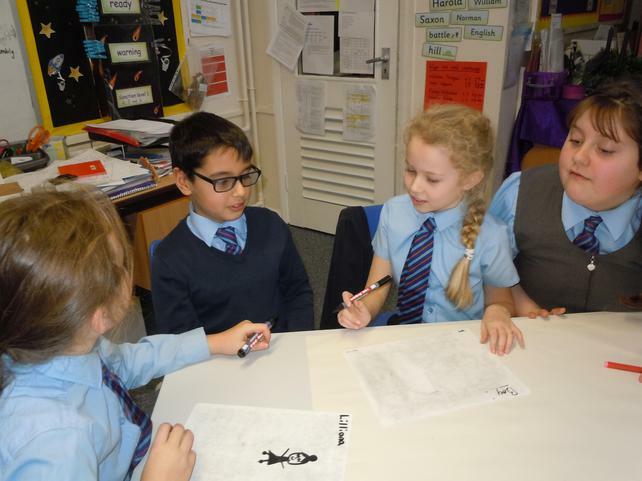 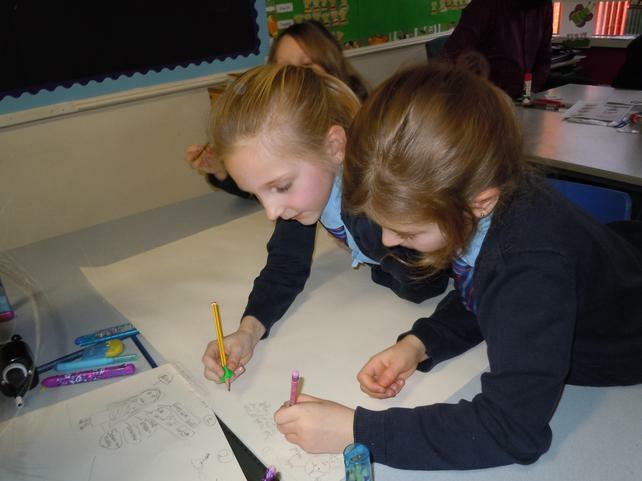 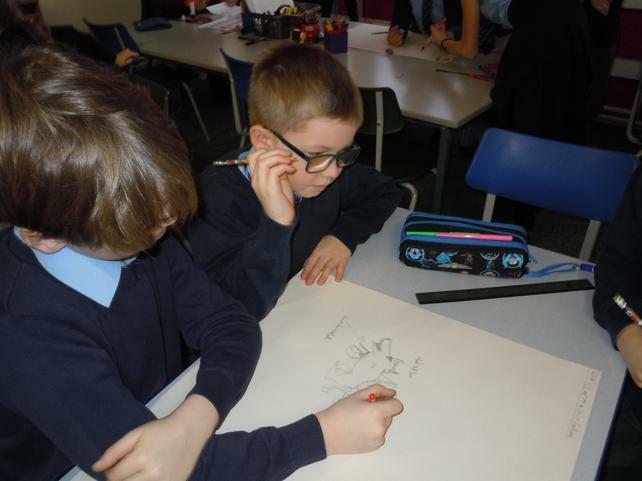 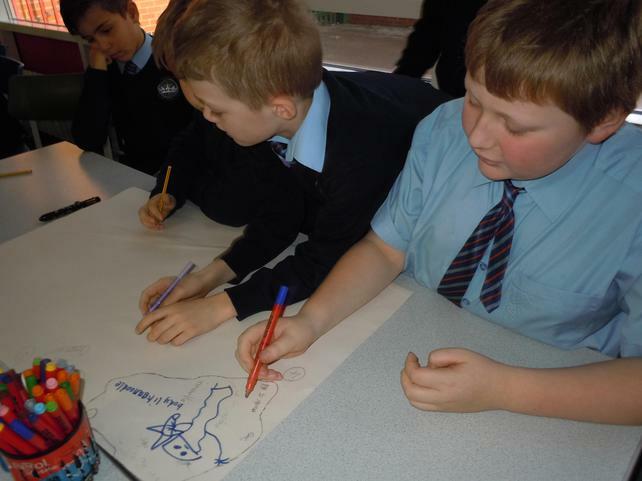 This week class 4 have been planning a "Moon Myth" story in groups. 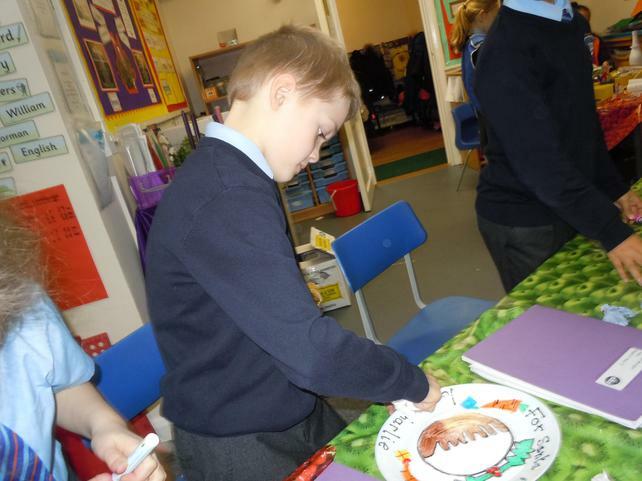 This week we celebrated our learning in the R.E. 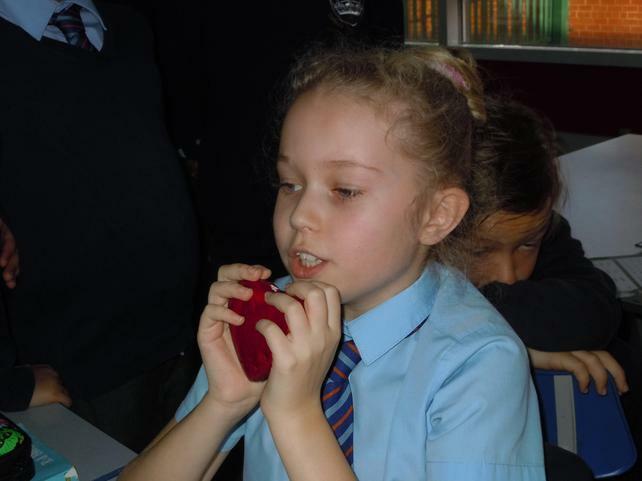 topic: "Called". 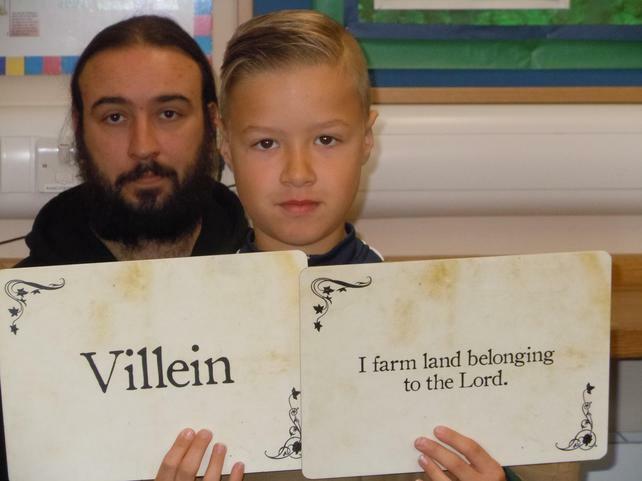 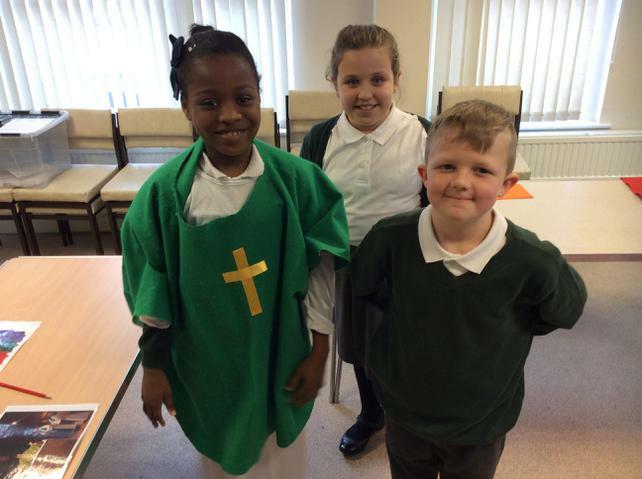 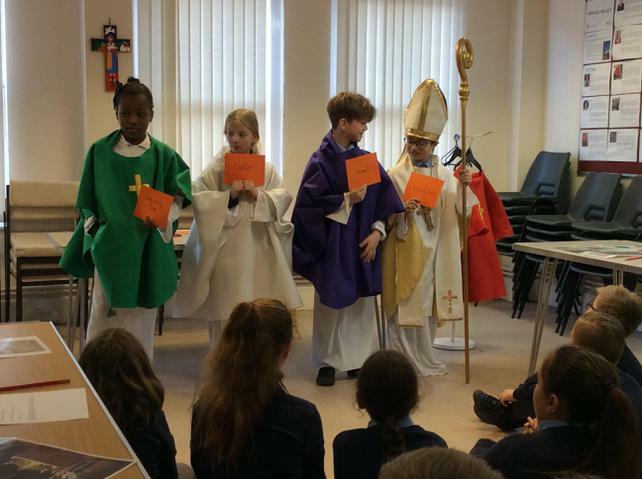 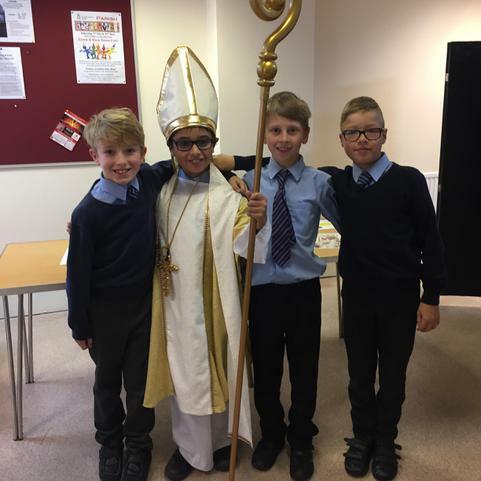 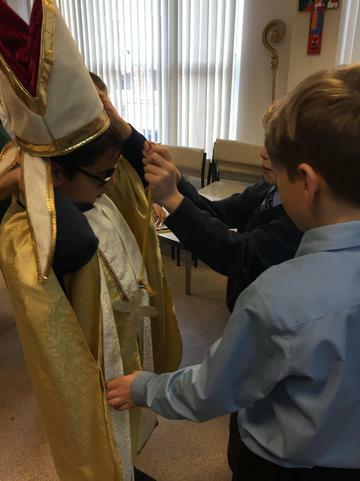 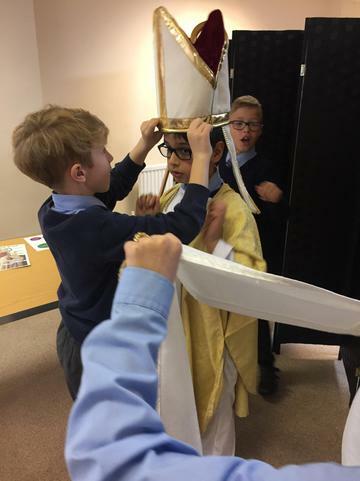 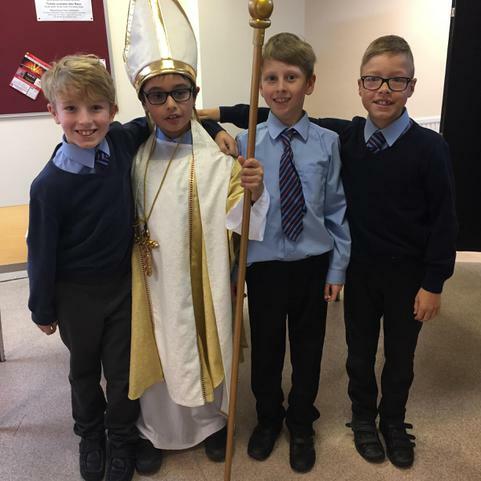 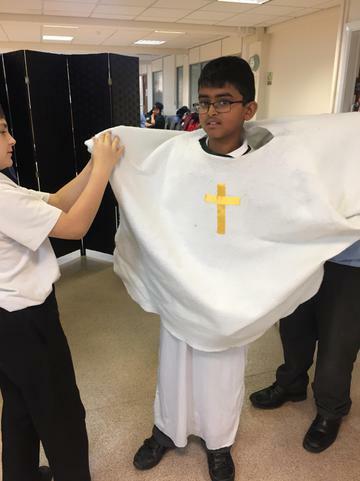 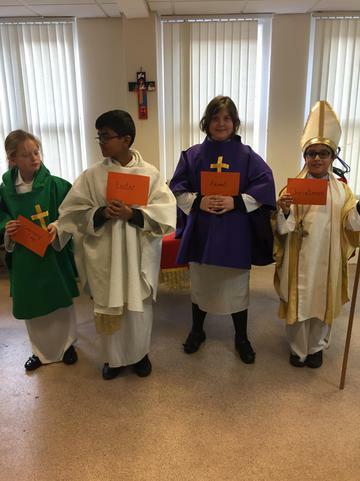 We learned about being called to follow God and the Sacrament of Confirmation. 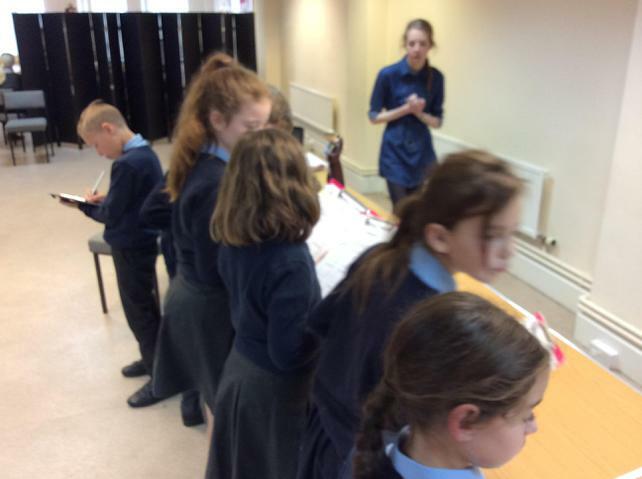 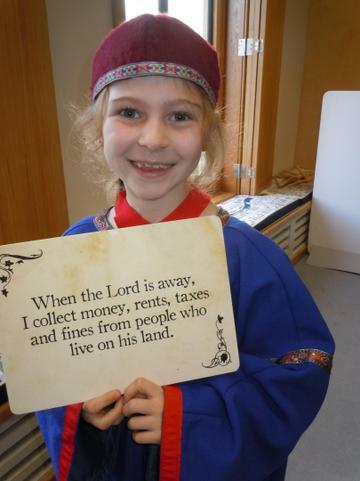 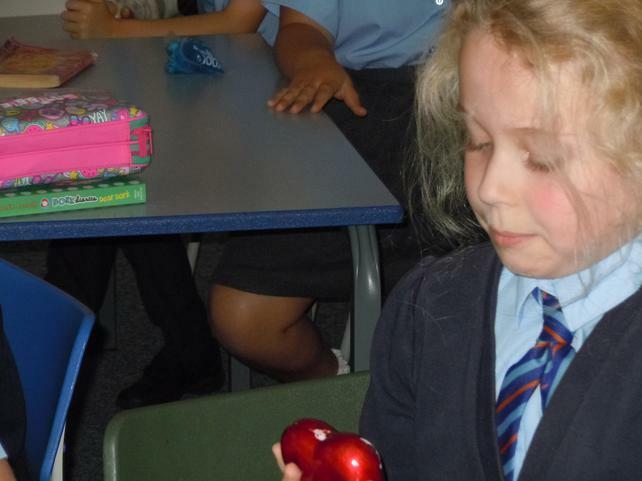 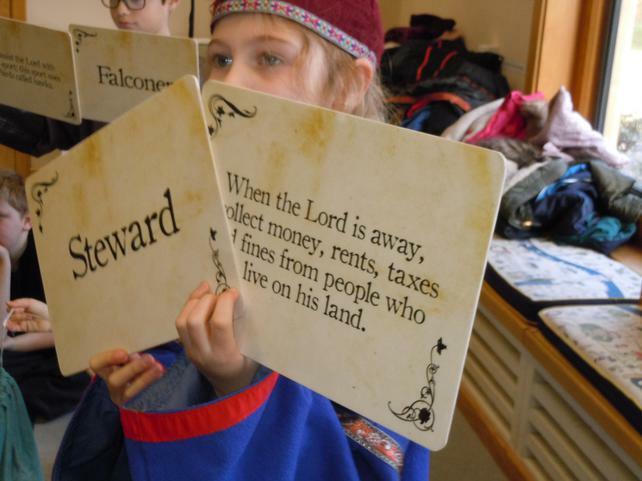 This week has also been other faiths week and we learned about Judaism and the Torah. 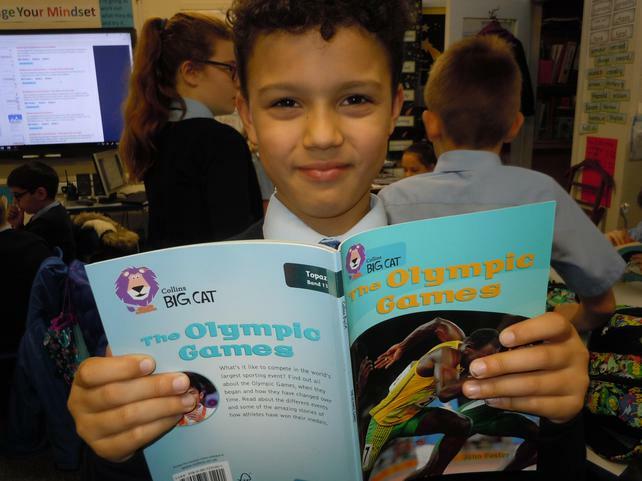 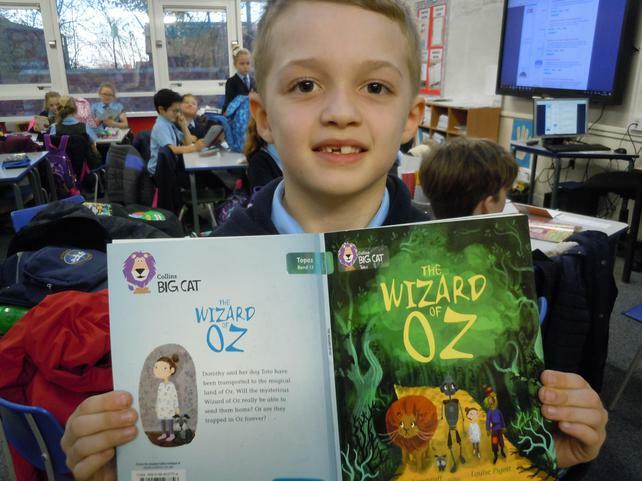 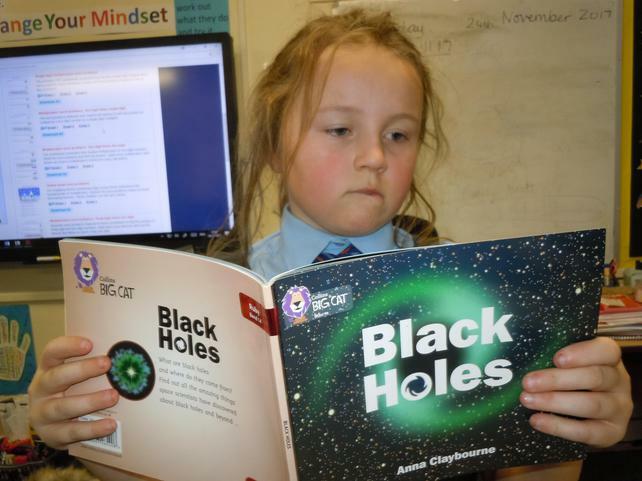 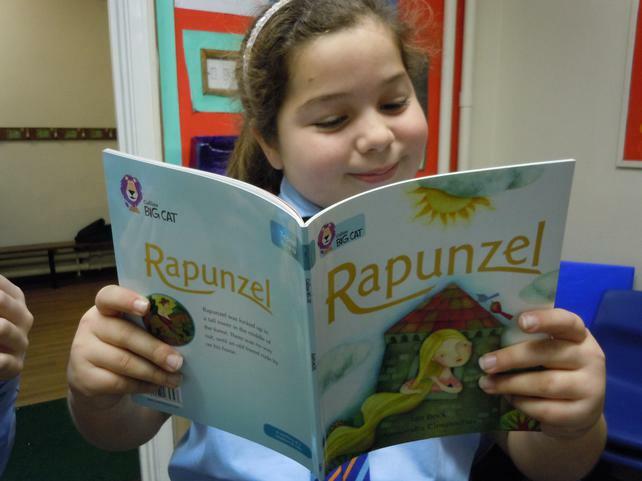 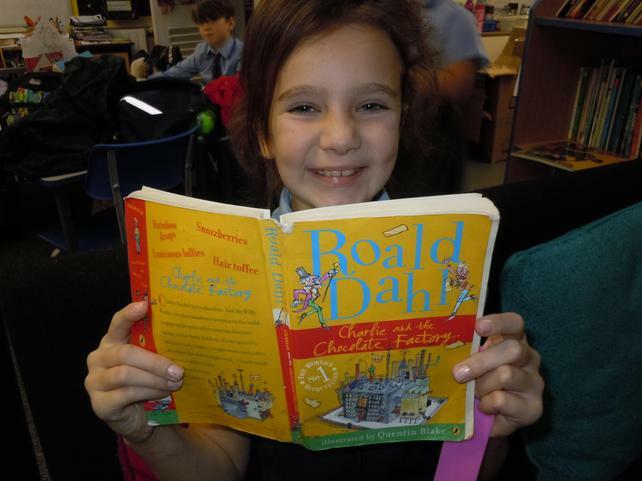 The children have been enjoying the new reading books, now all stored and accessible on the corridor. 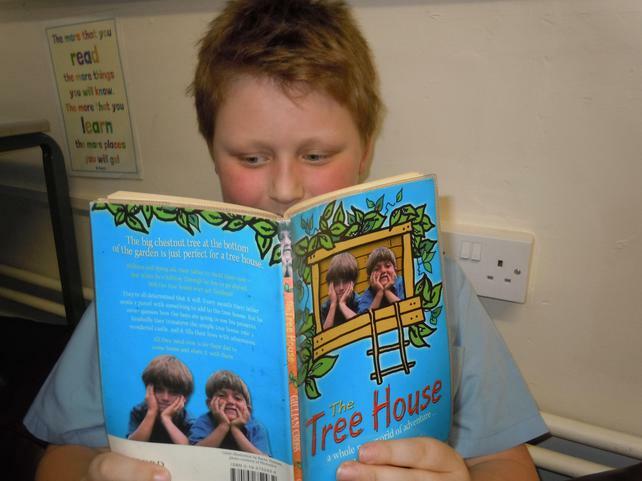 Here are some recommended reads! 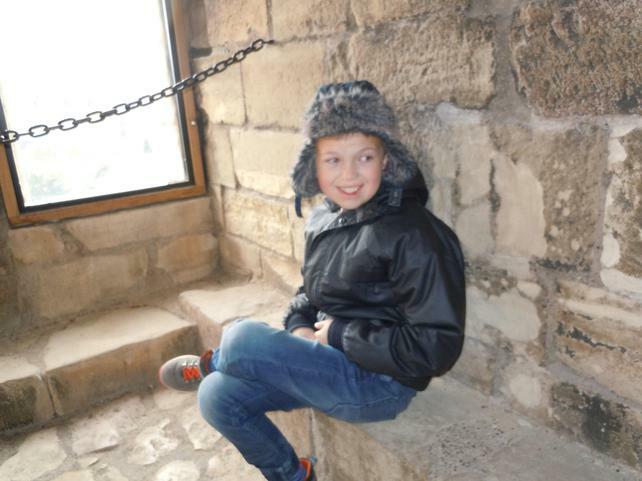 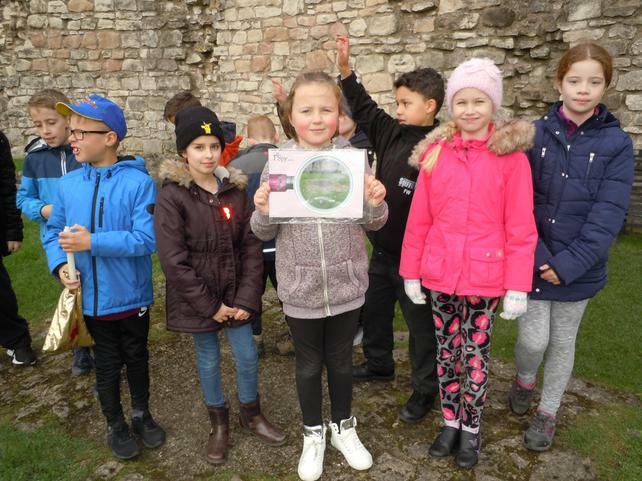 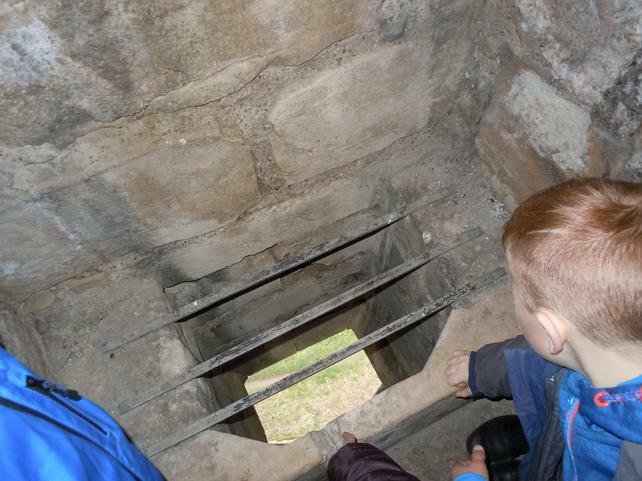 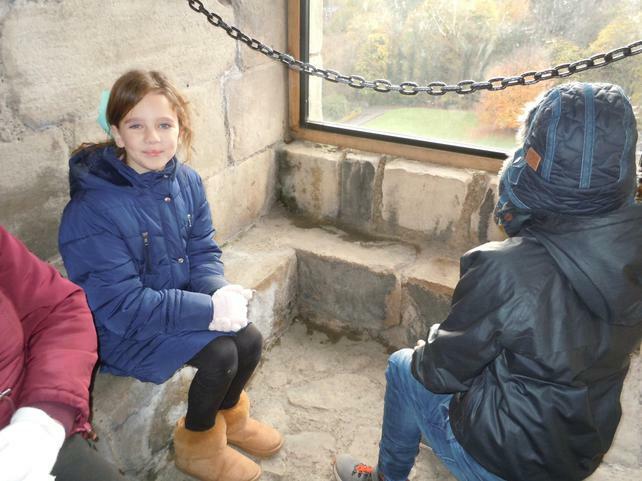 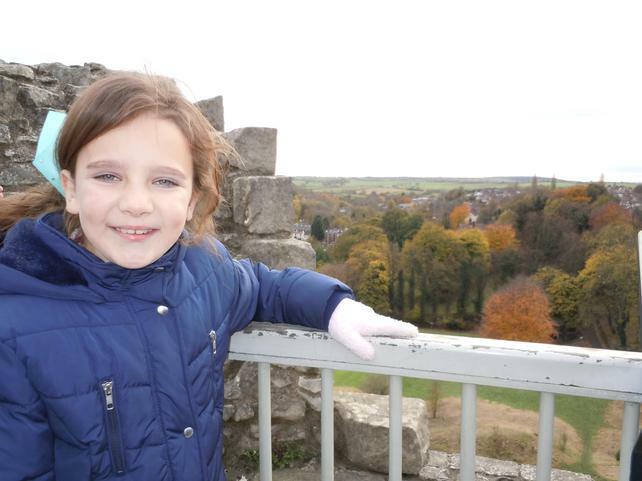 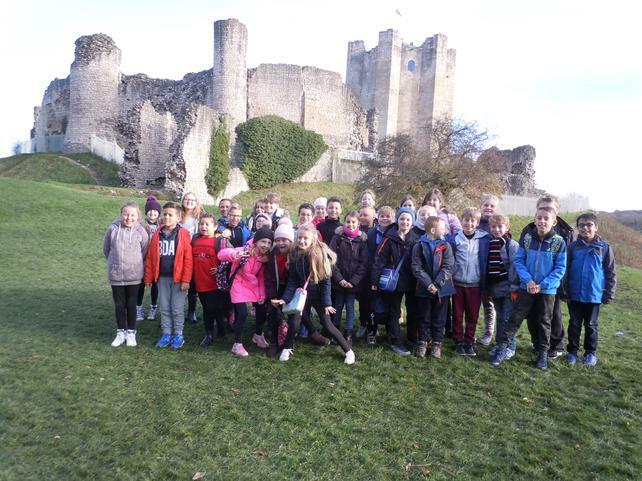 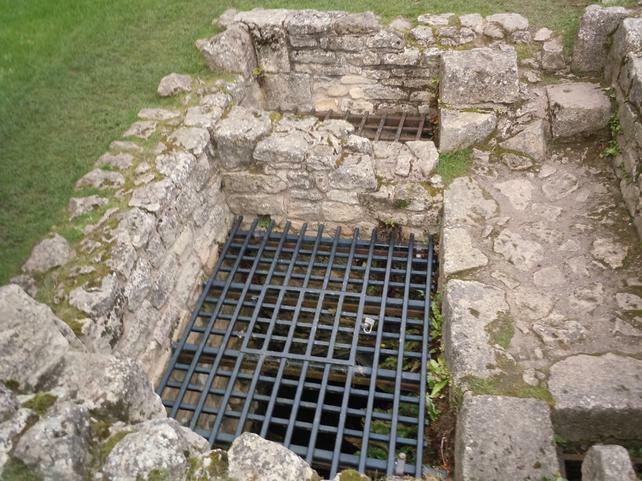 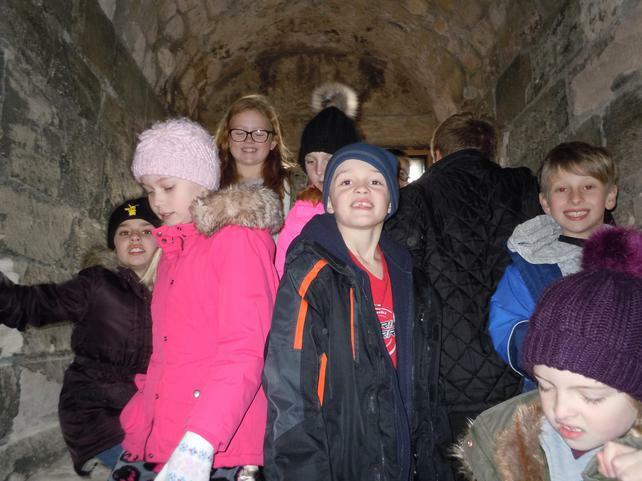 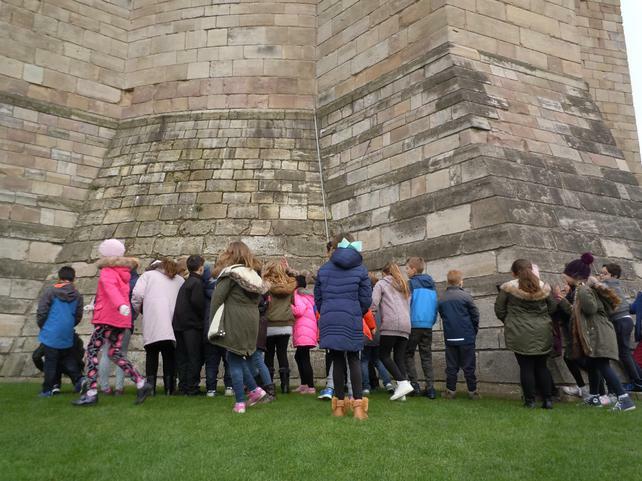 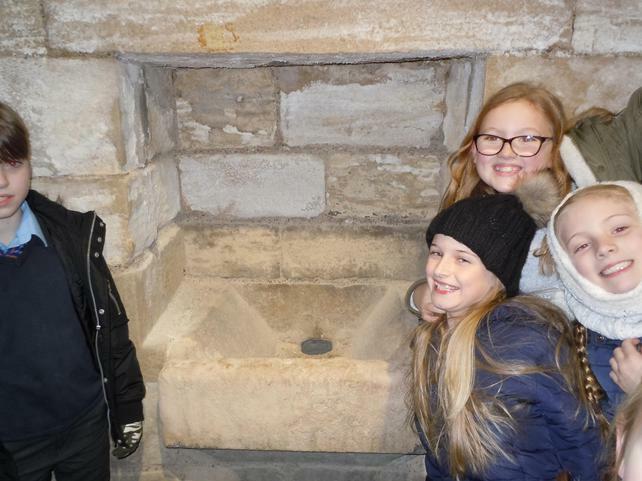 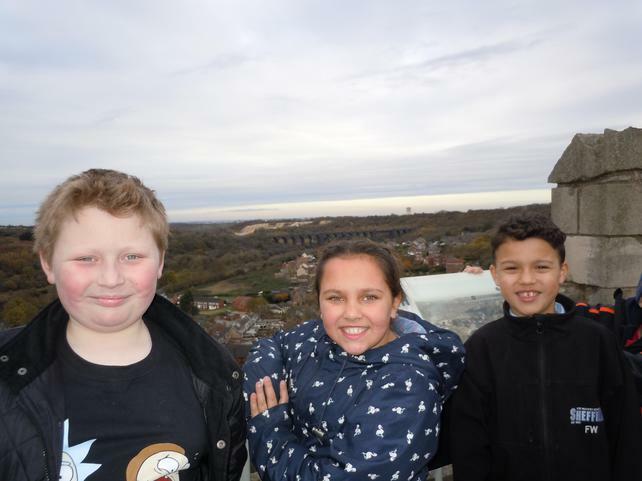 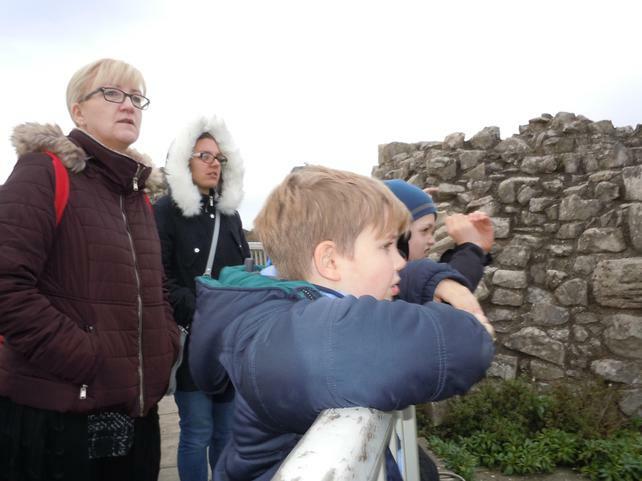 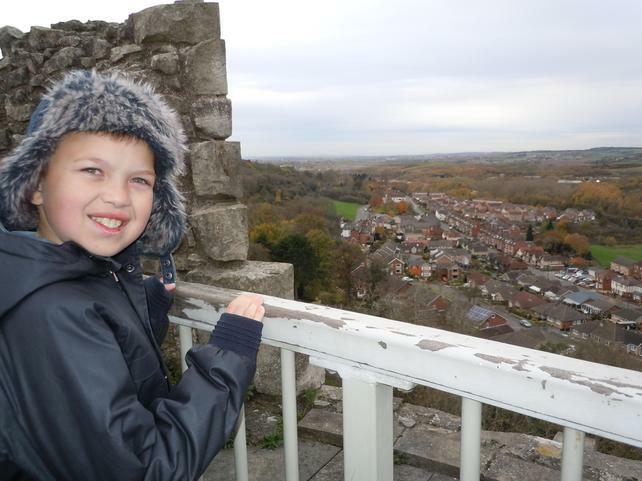 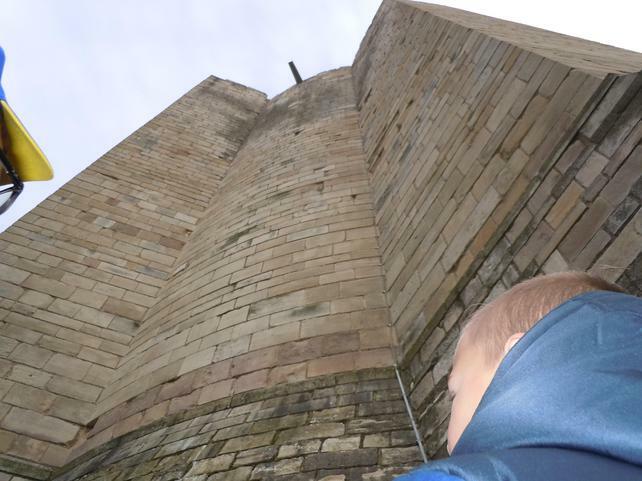 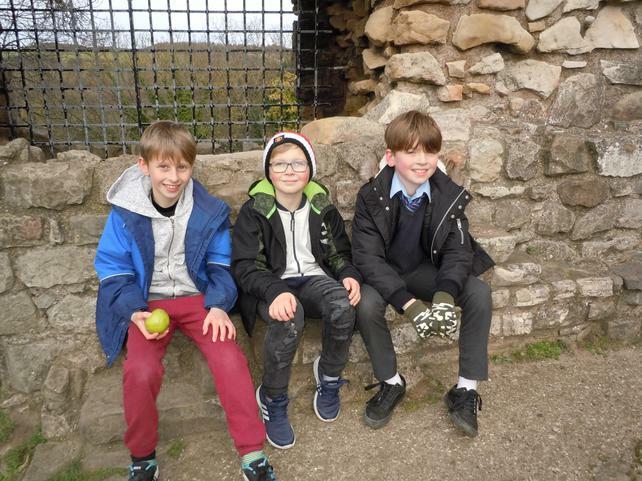 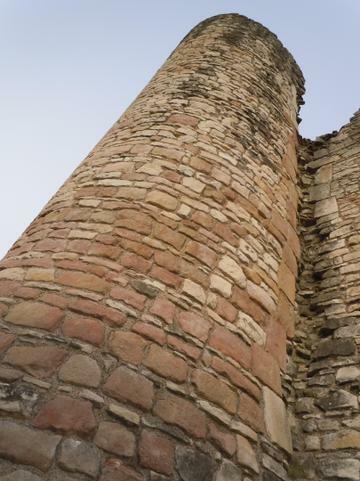 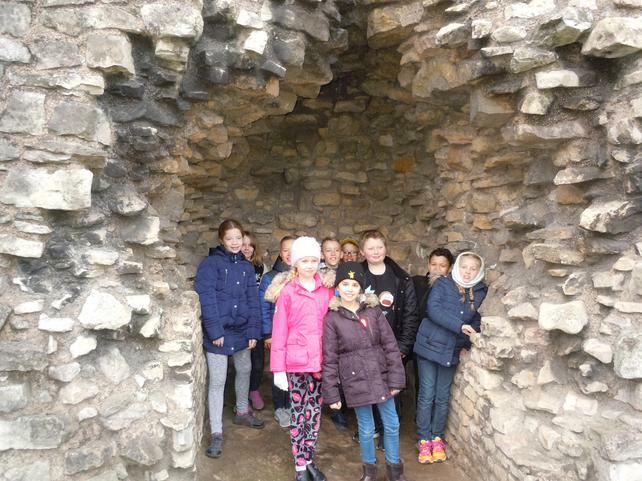 This week class 4 enjoyed a cold but fantastic day at Conisbrough Castle. 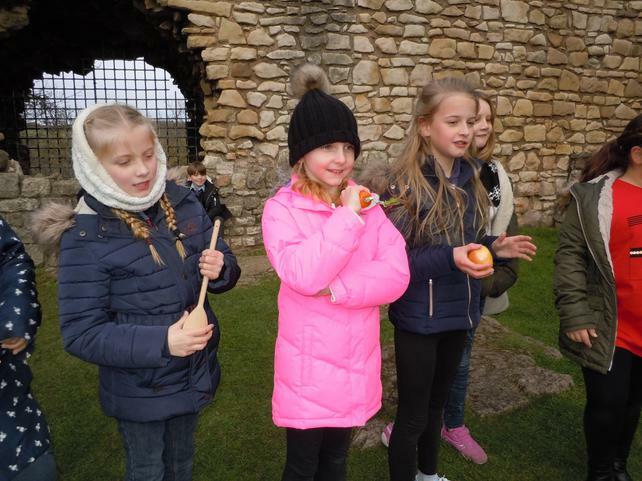 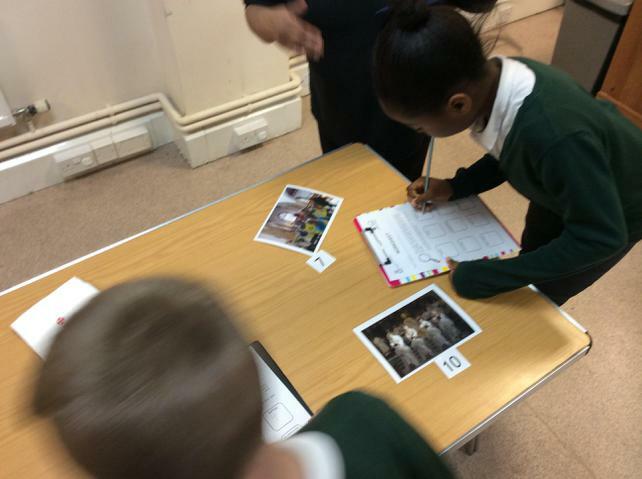 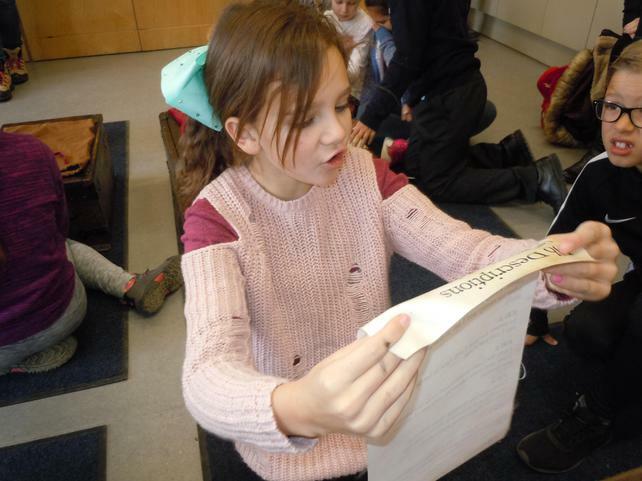 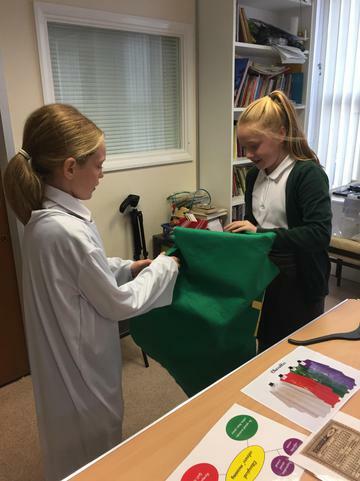 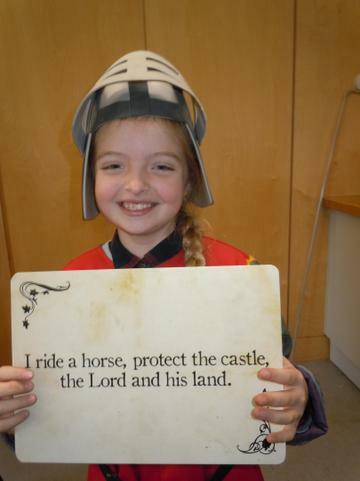 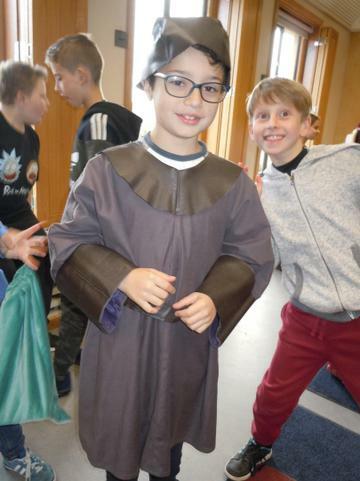 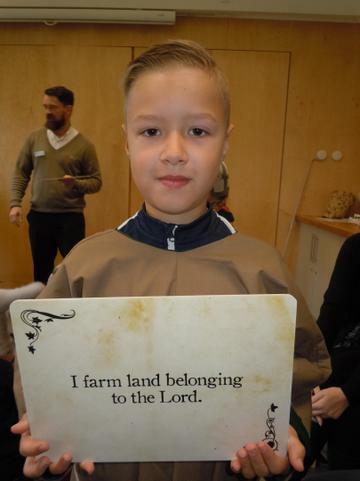 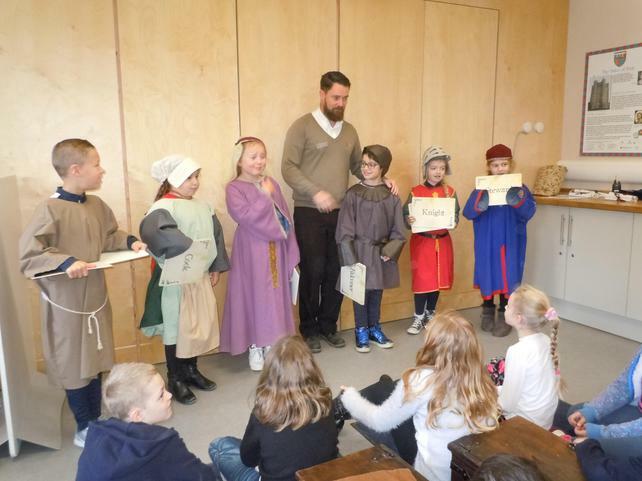 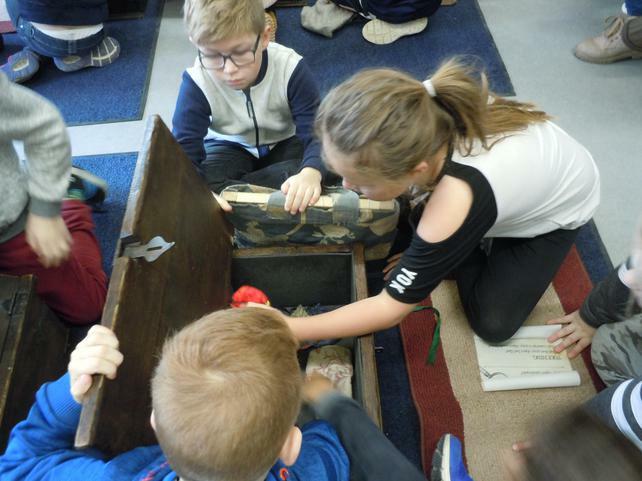 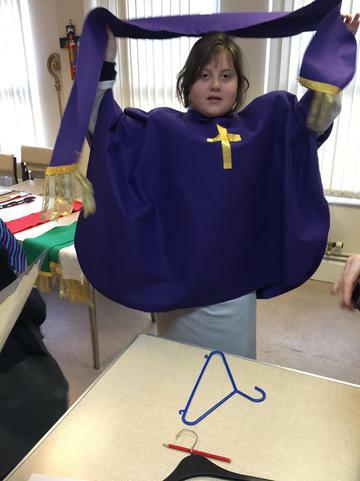 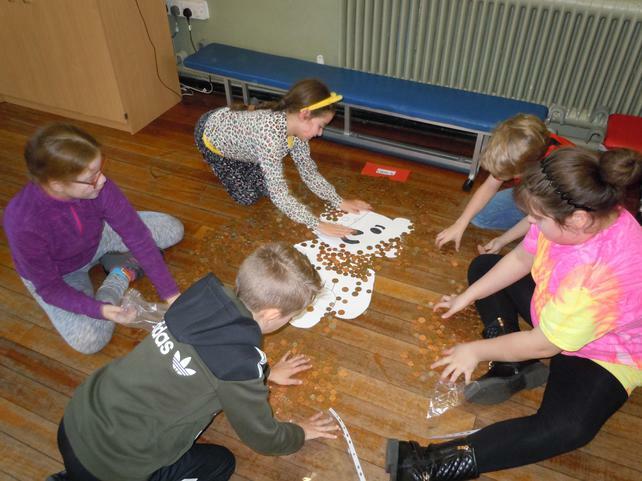 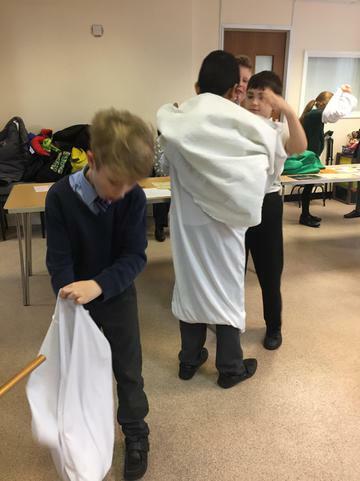 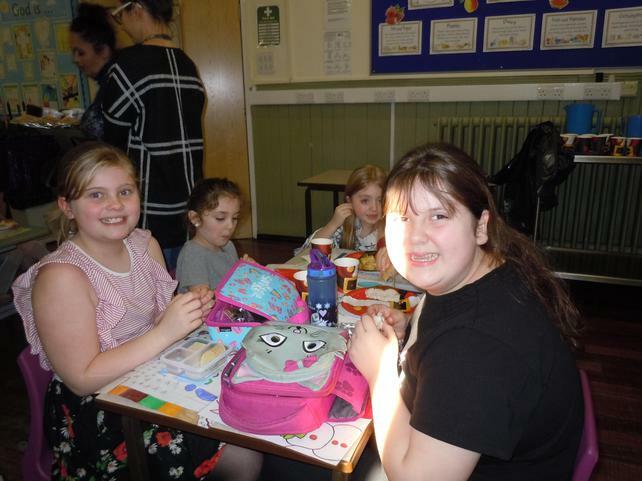 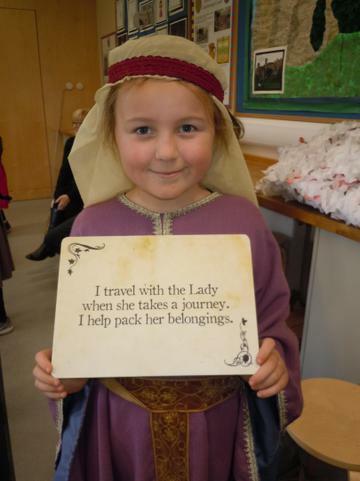 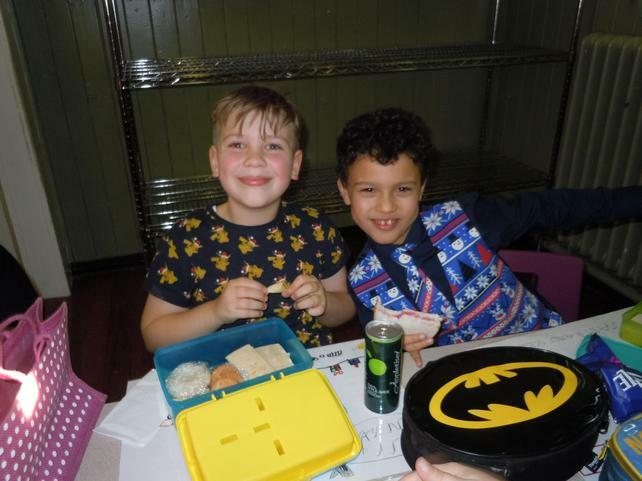 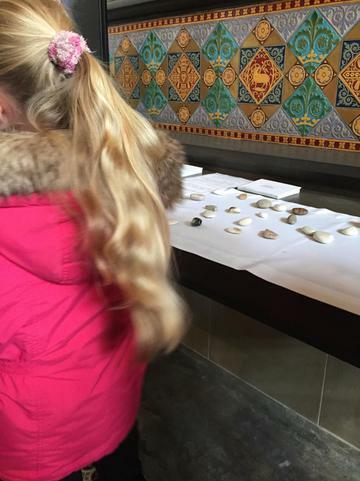 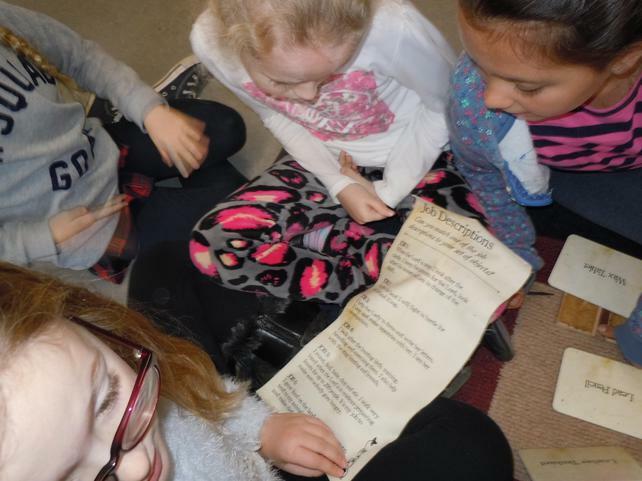 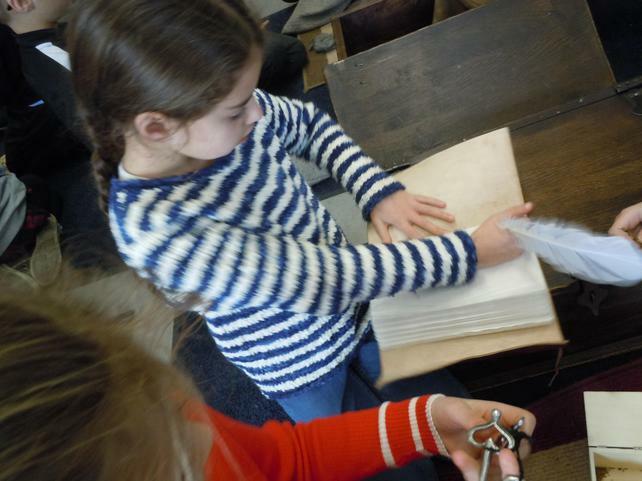 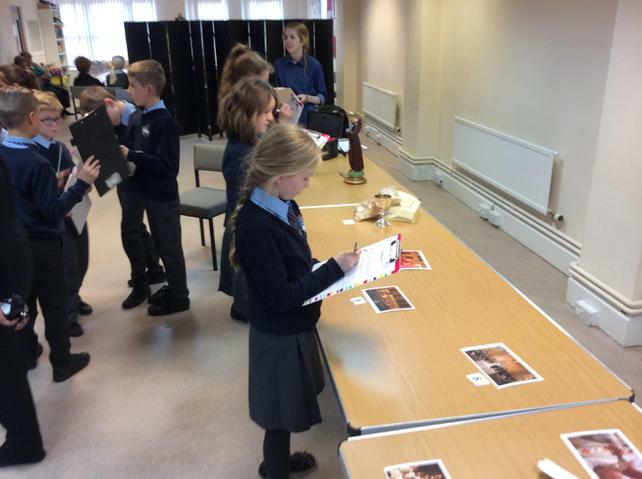 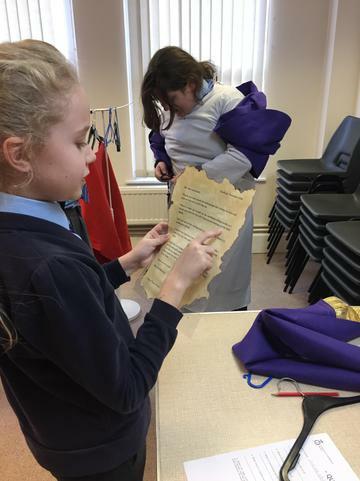 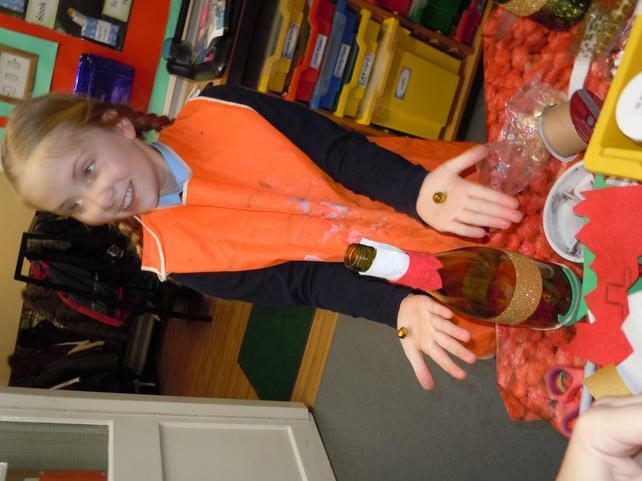 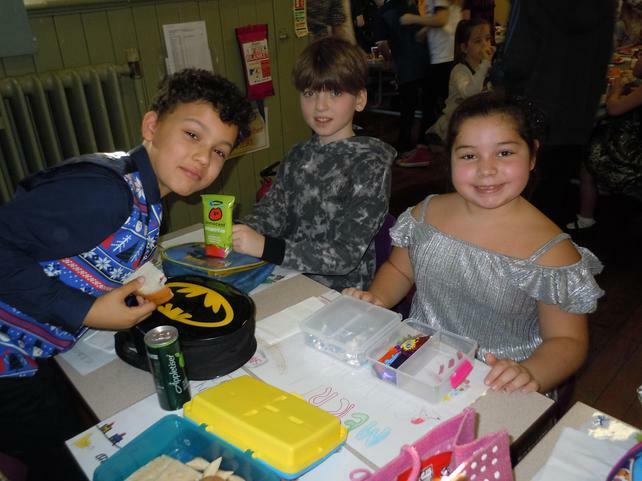 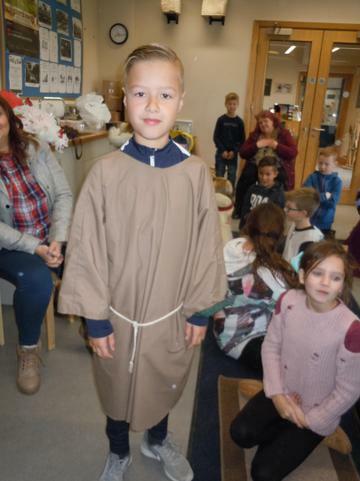 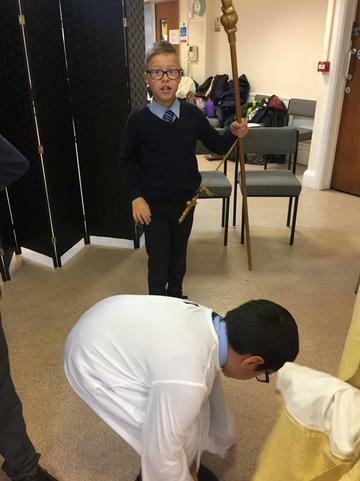 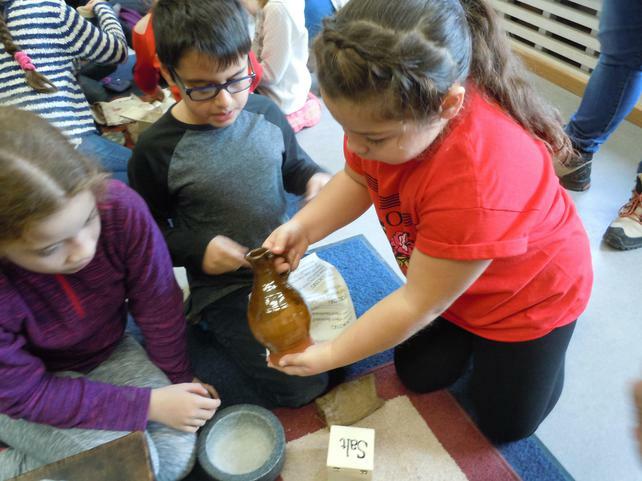 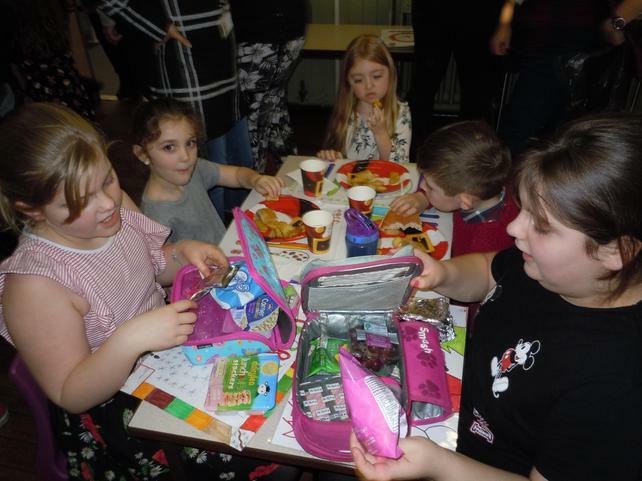 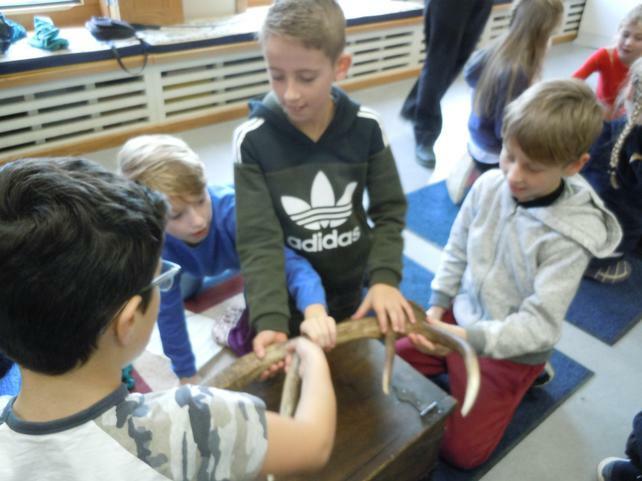 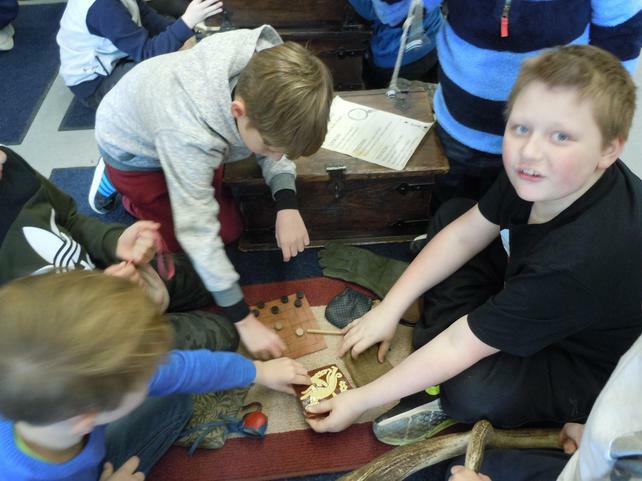 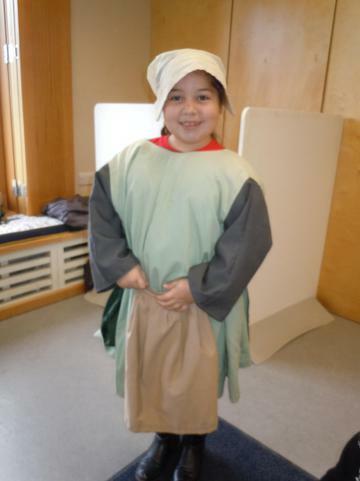 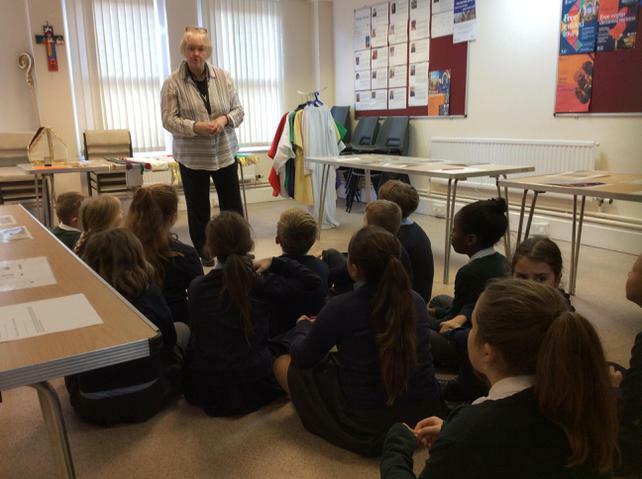 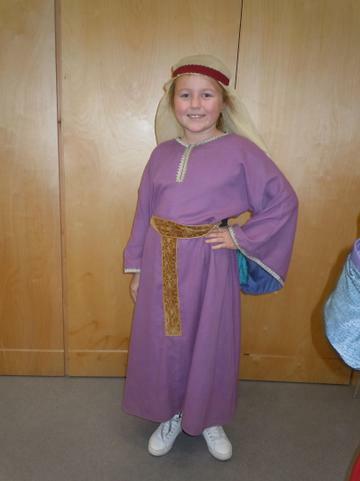 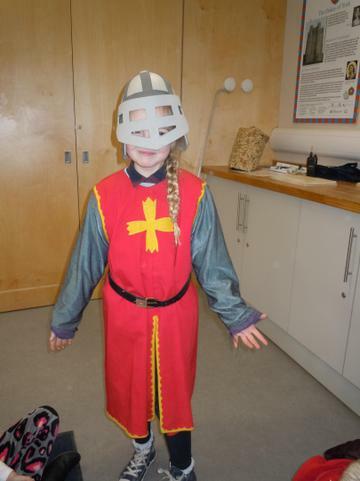 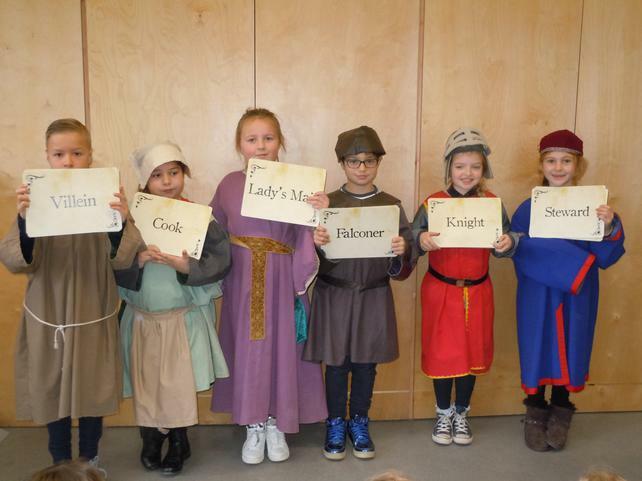 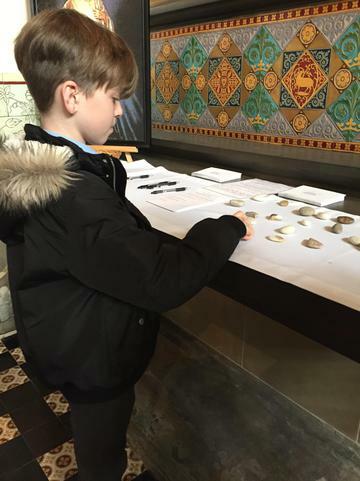 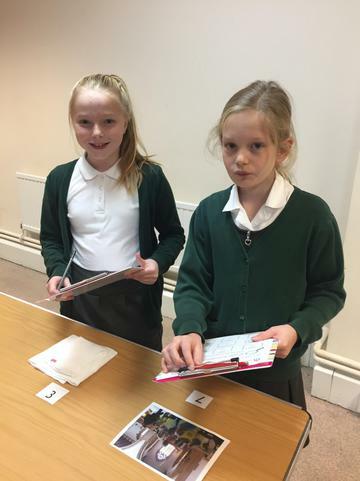 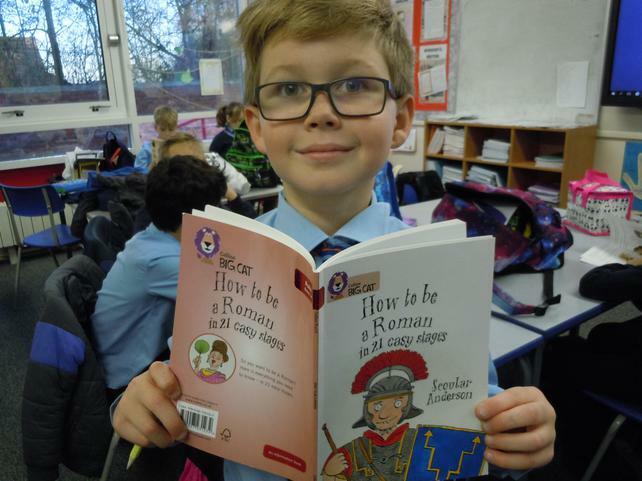 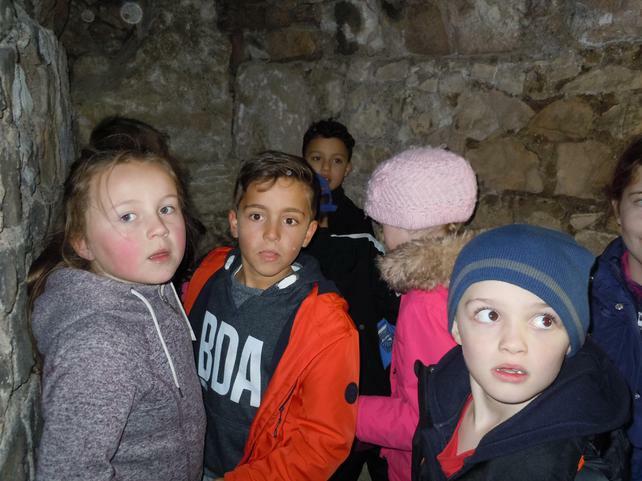 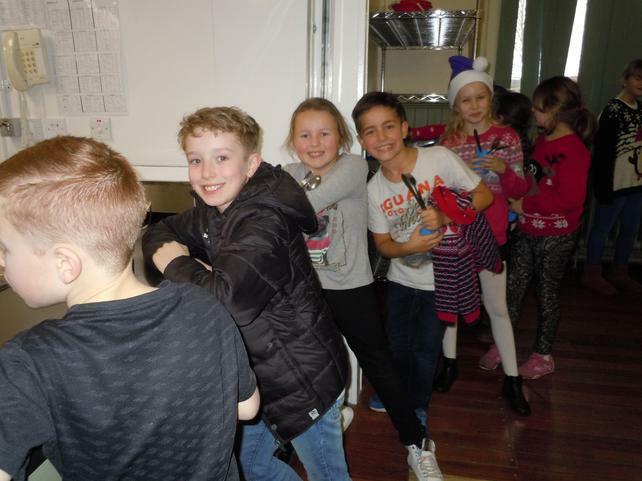 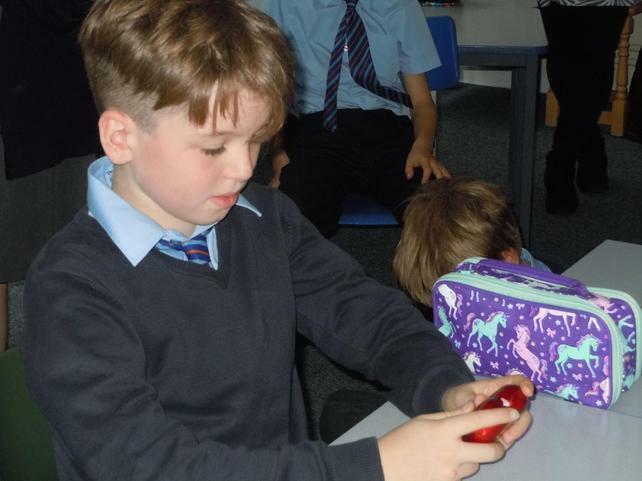 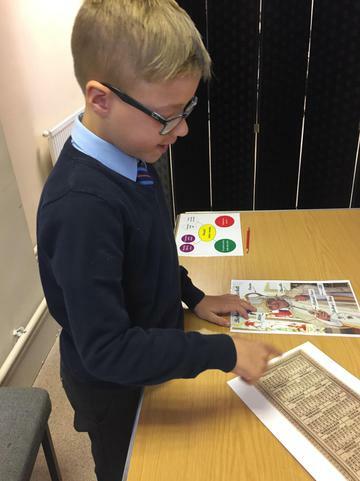 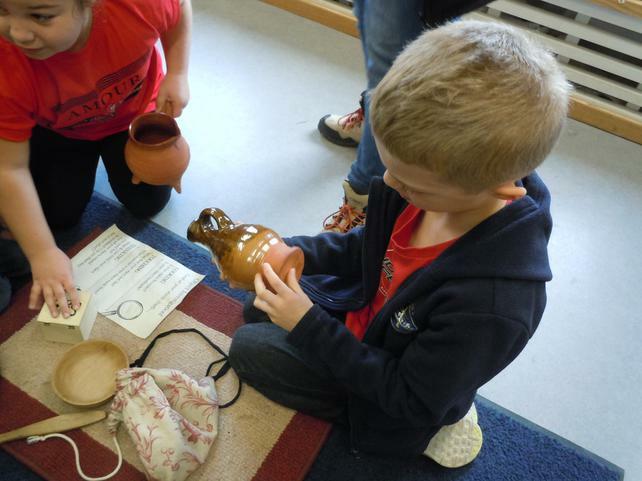 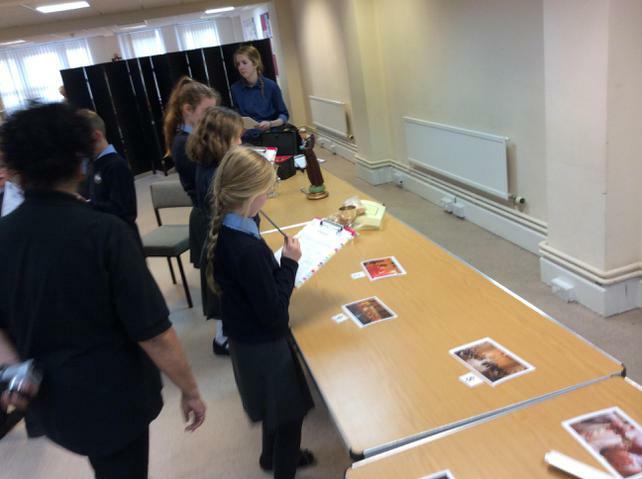 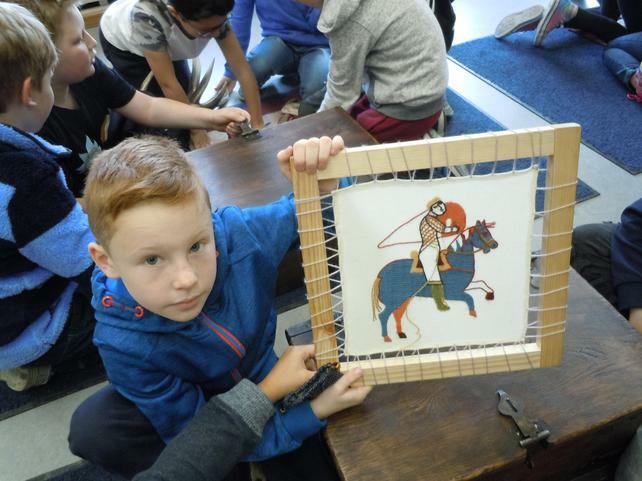 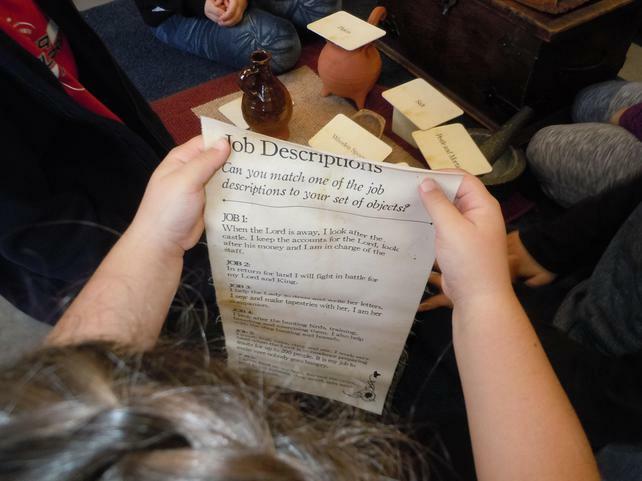 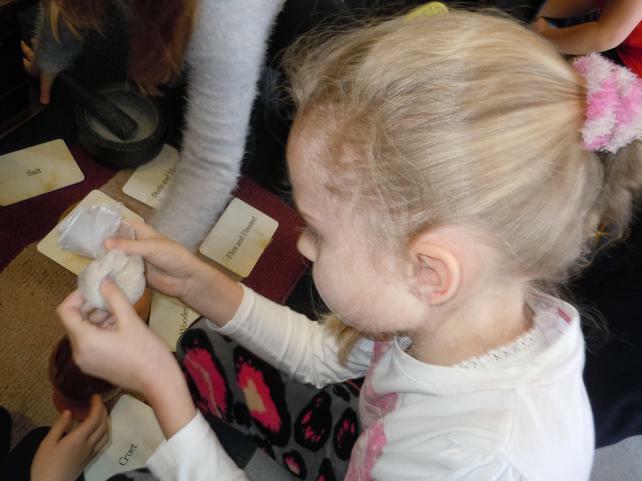 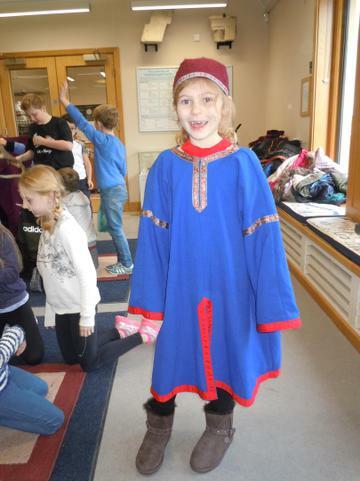 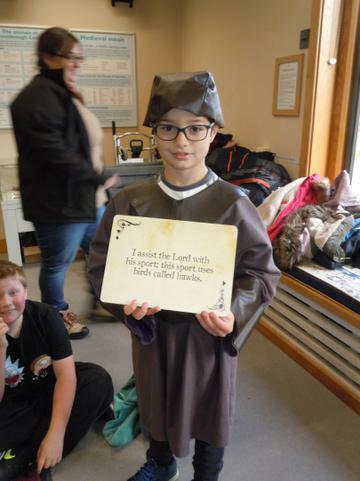 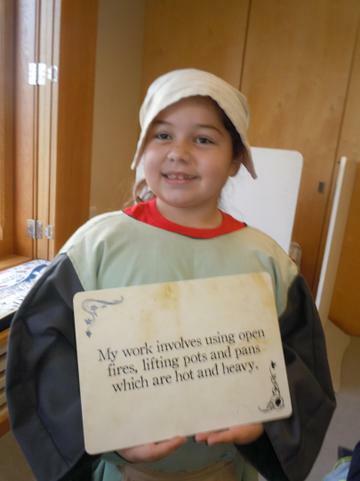 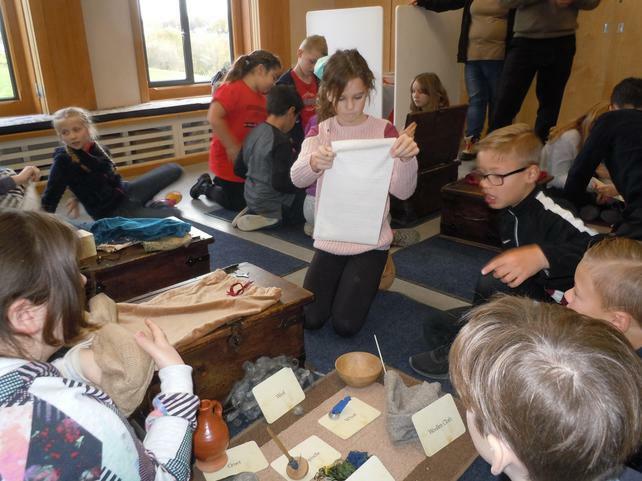 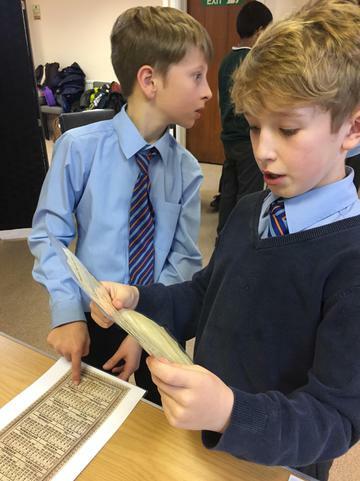 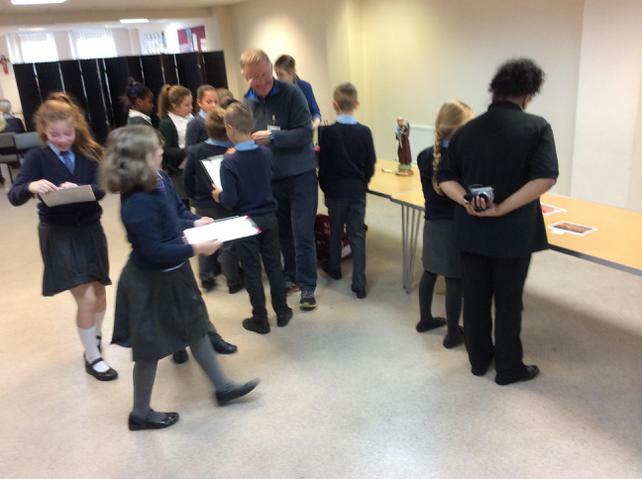 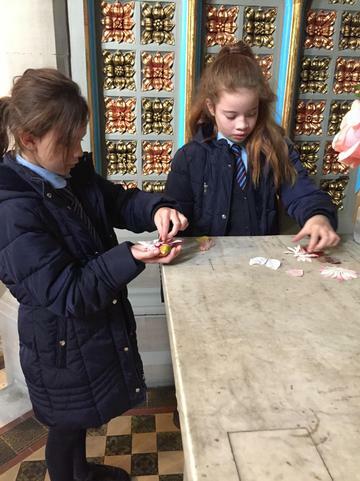 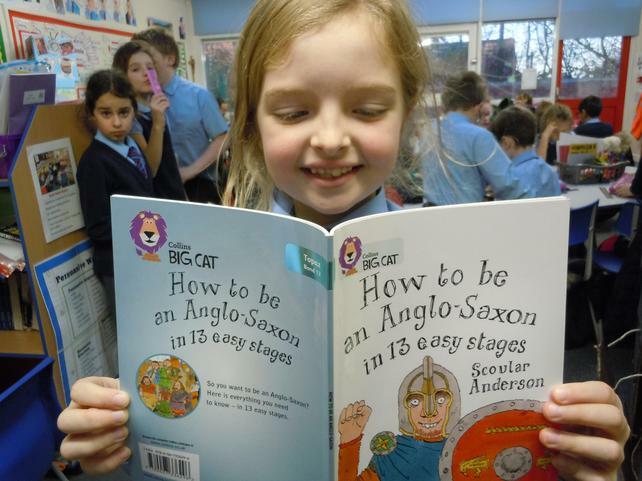 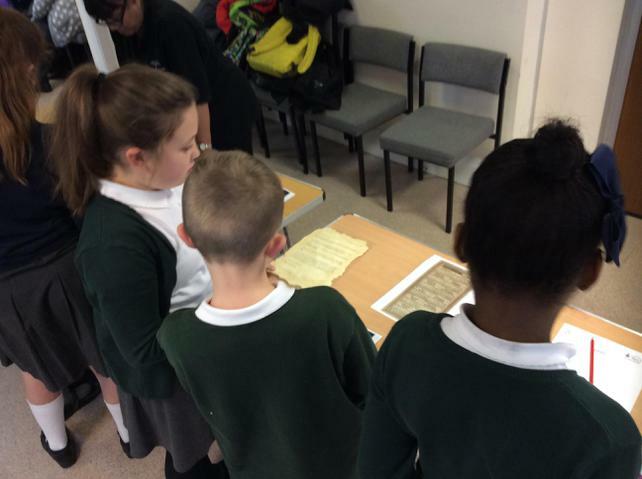 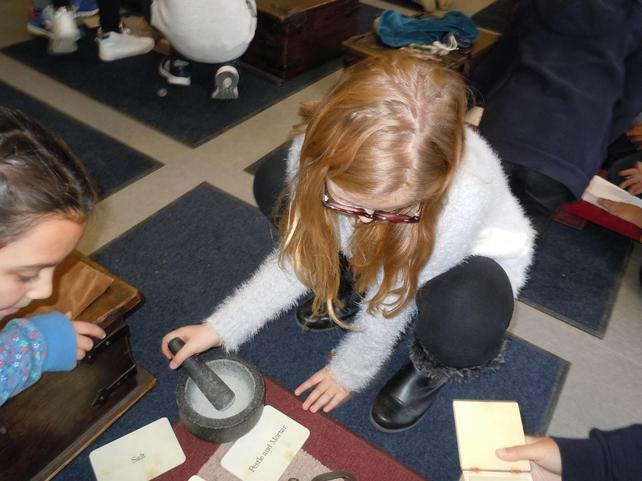 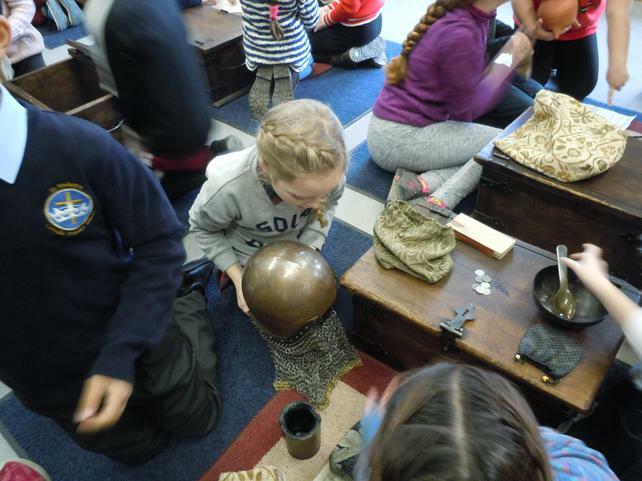 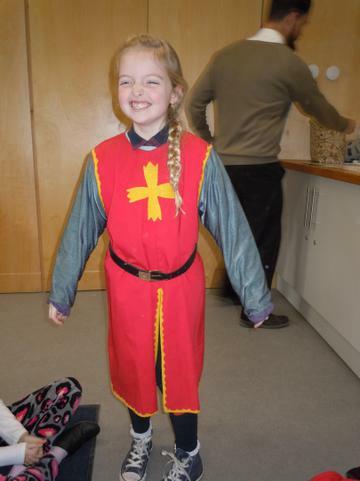 The two workshops meant that the children were able to handle artefacts, dress up, role play, follow clues to find out about the castle and much more. 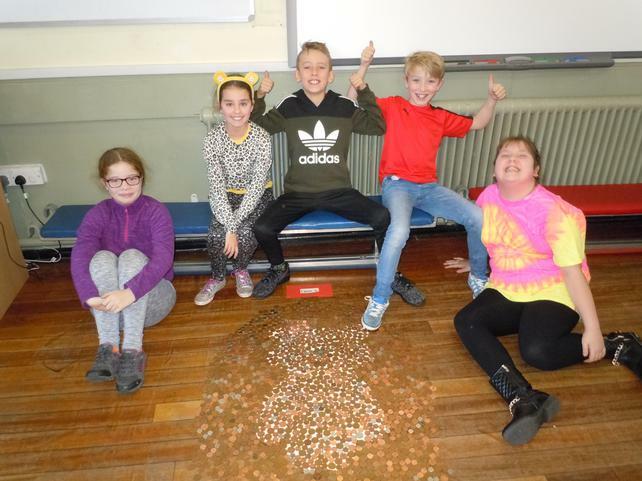 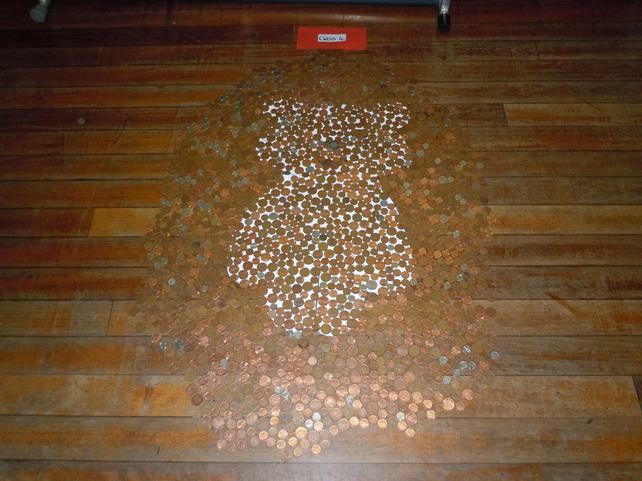 Well done class 4, lots of coins were collected and donations made for our worthy causes. 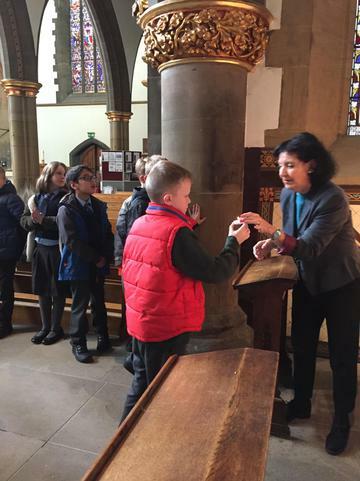 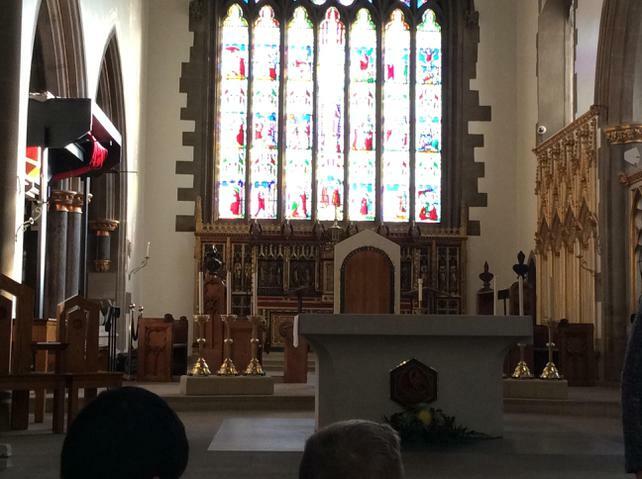 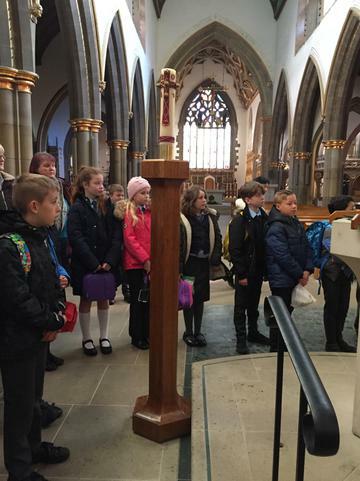 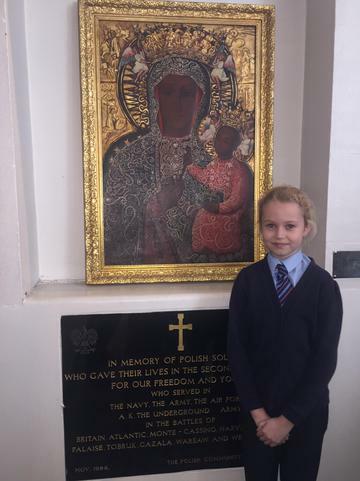 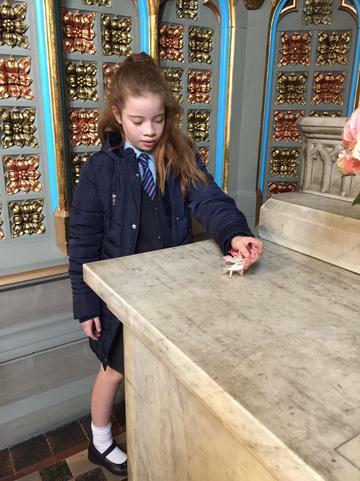 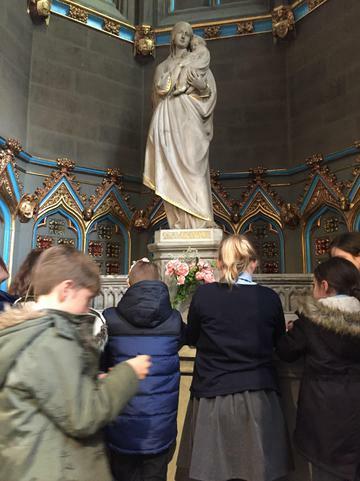 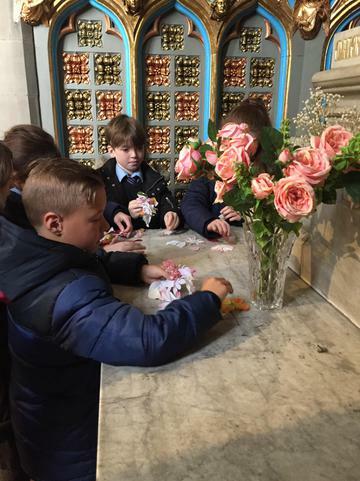 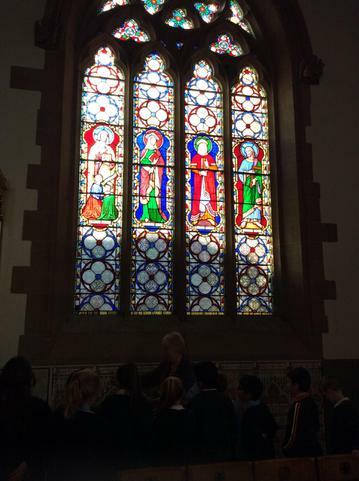 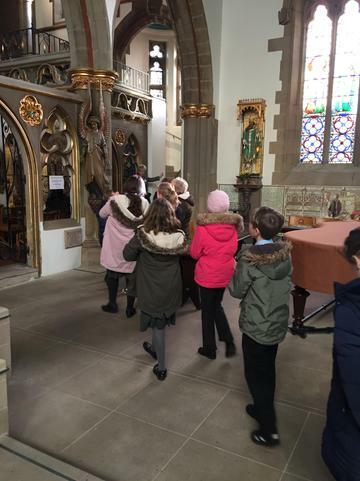 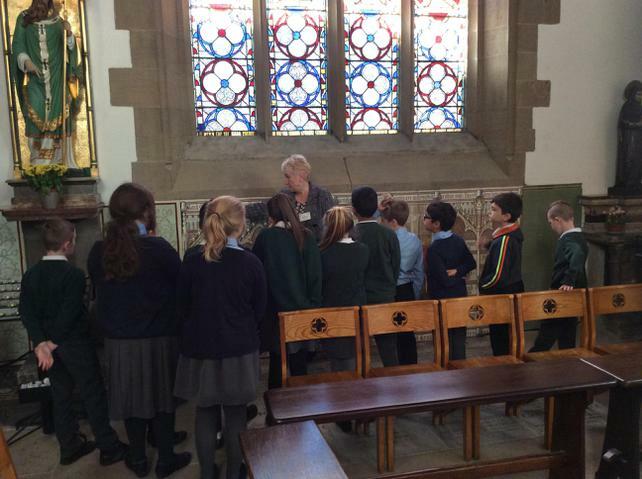 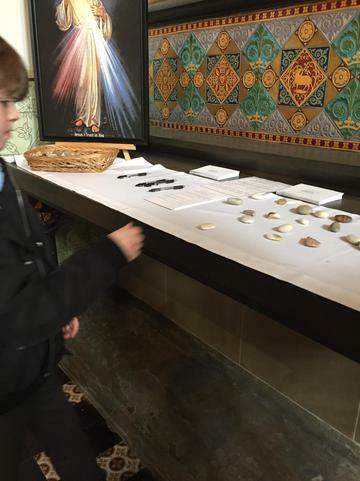 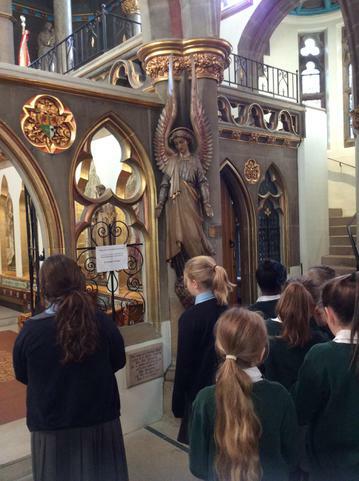 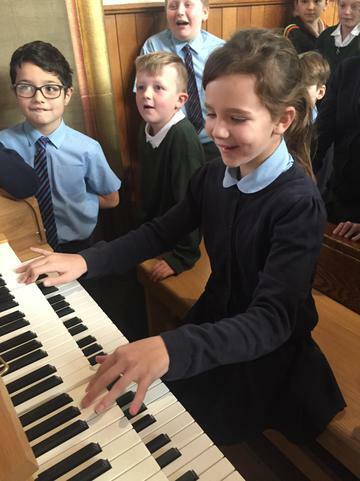 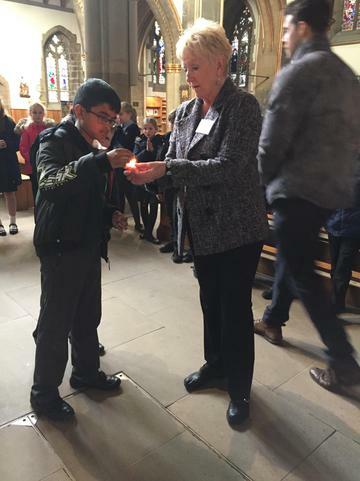 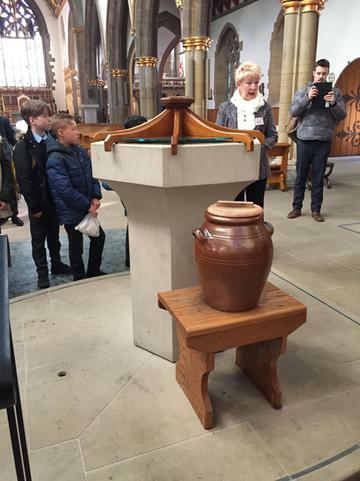 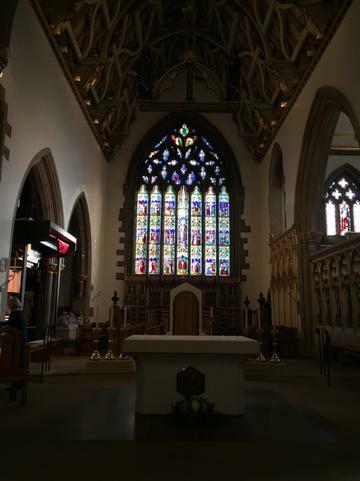 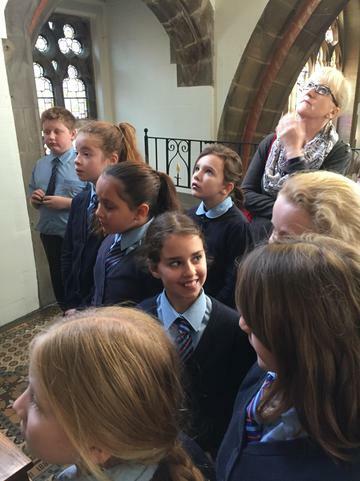 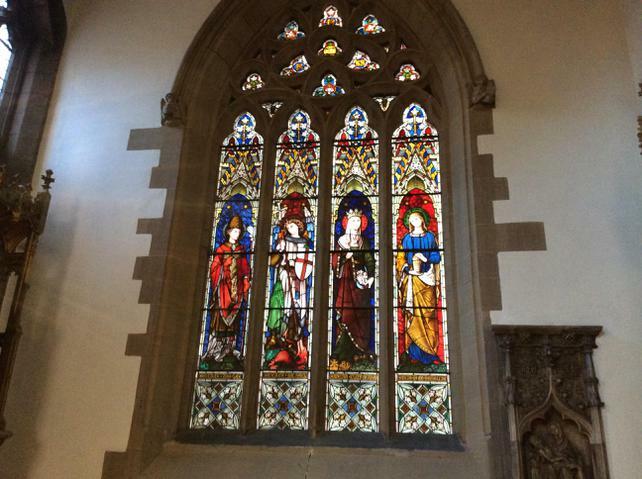 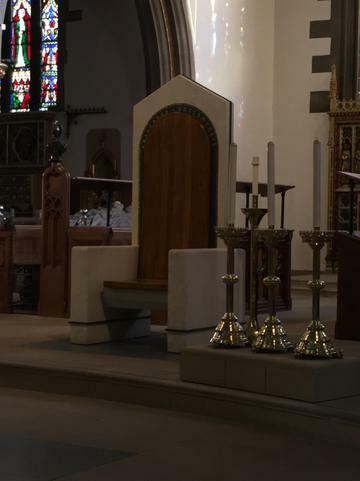 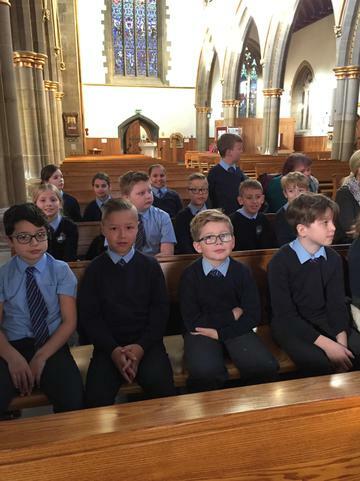 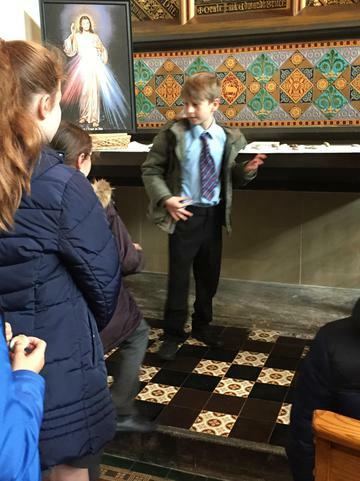 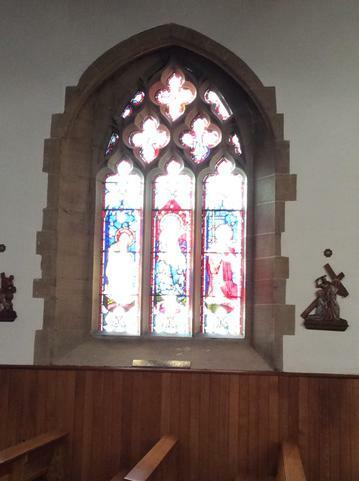 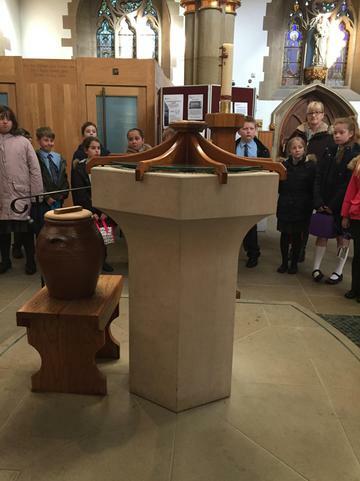 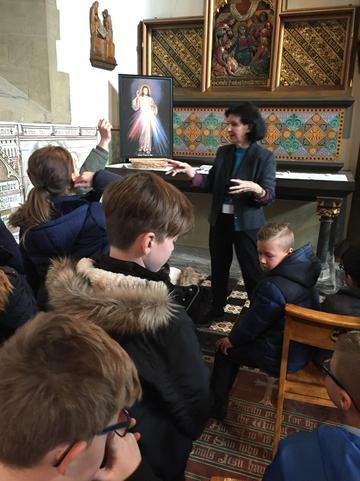 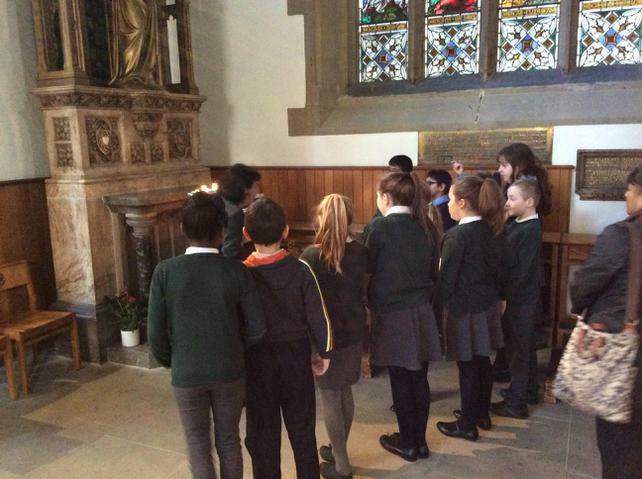 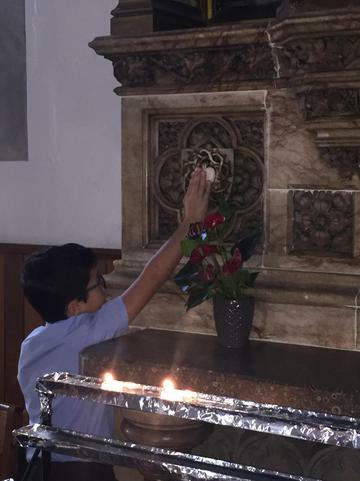 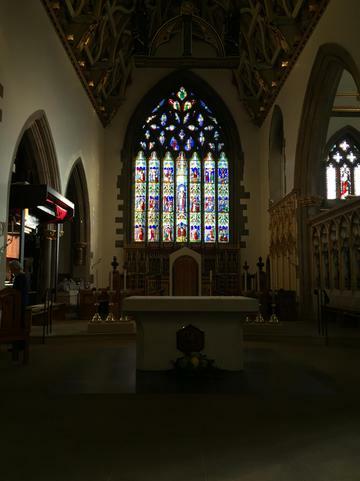 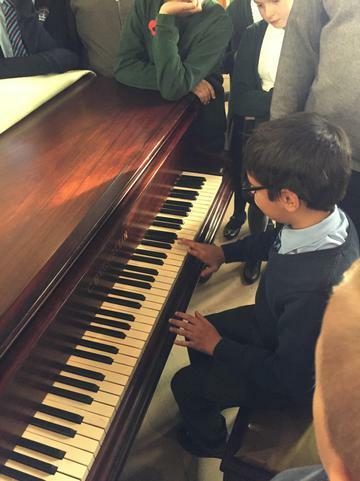 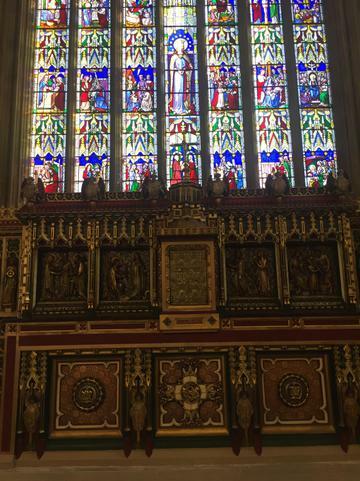 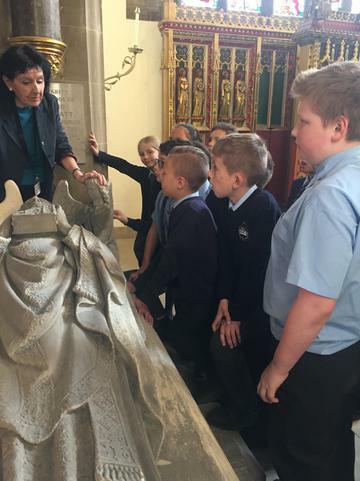 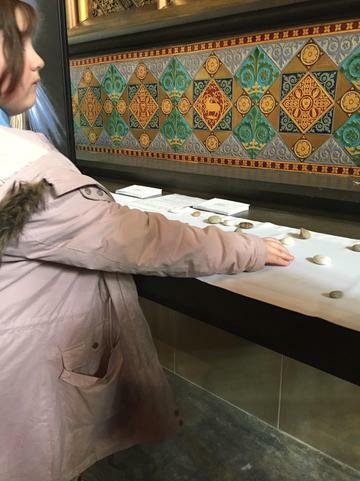 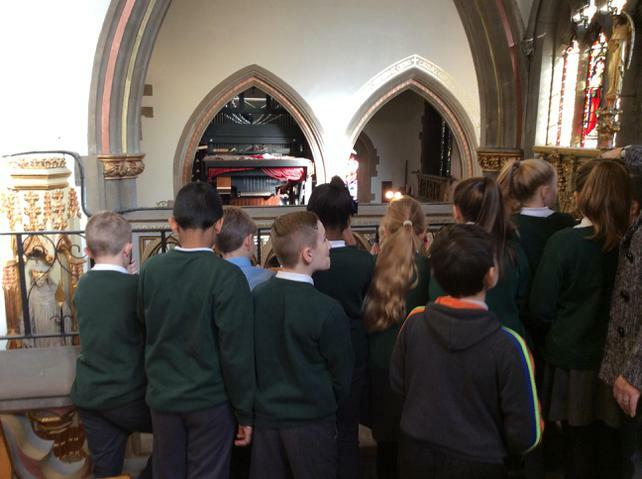 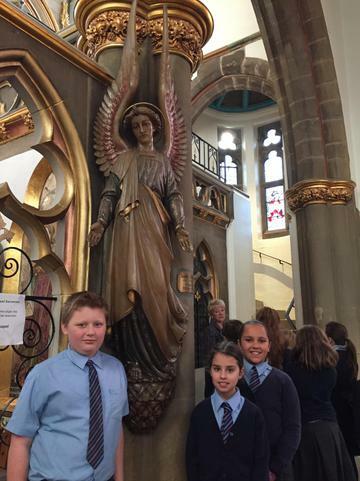 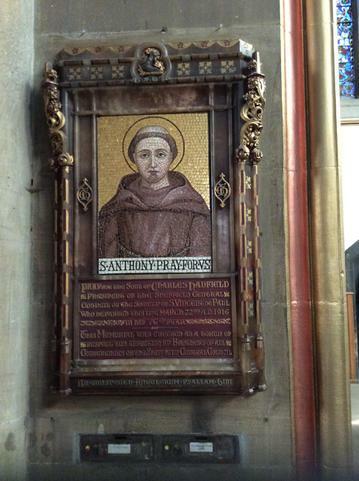 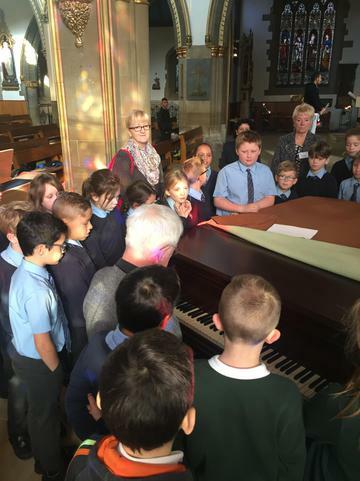 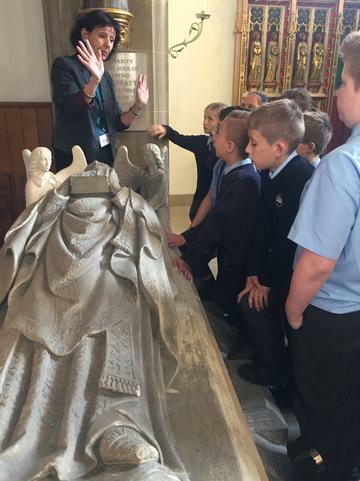 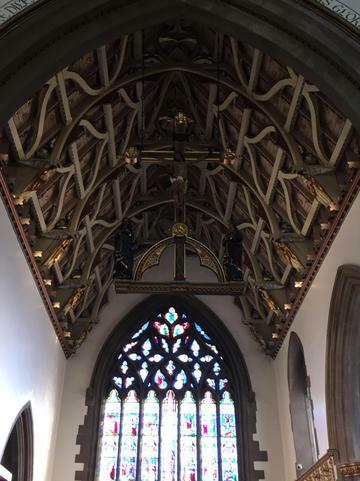 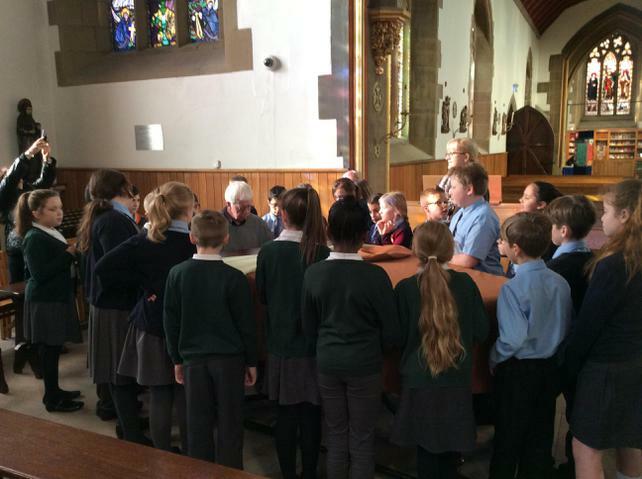 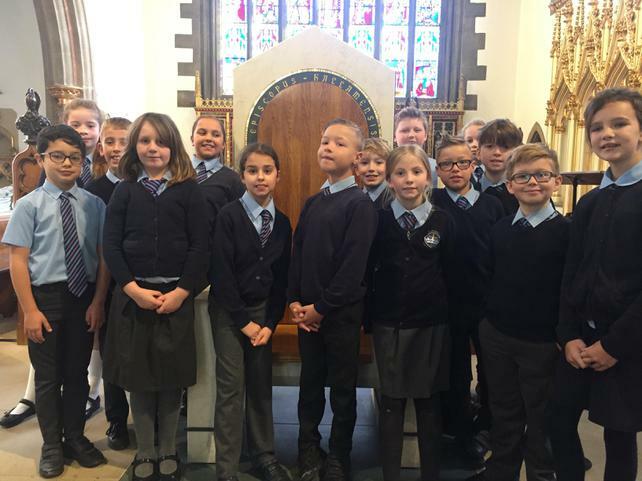 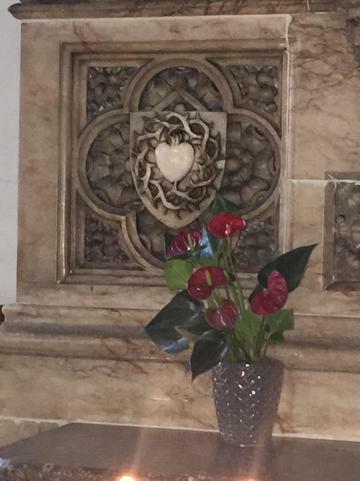 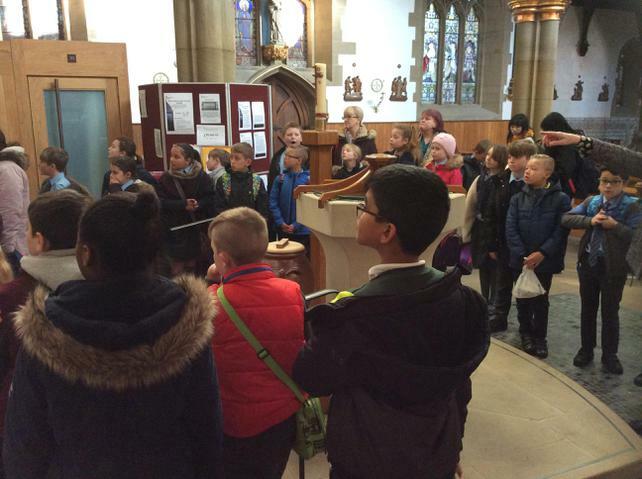 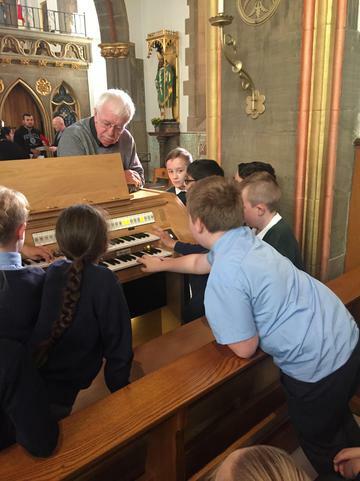 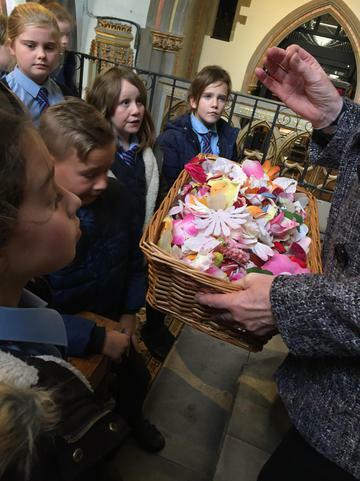 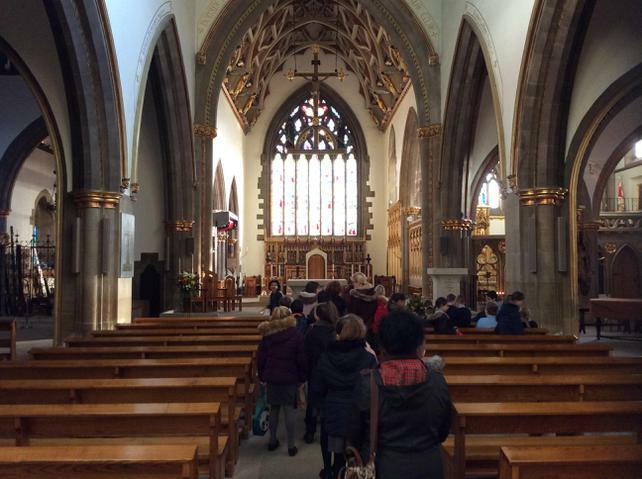 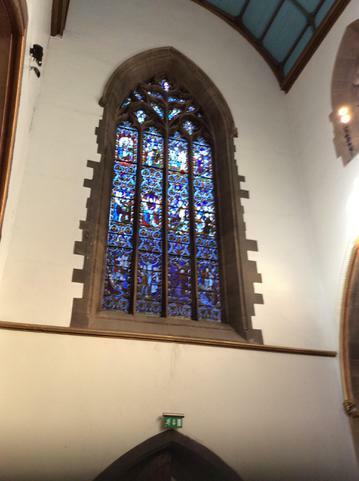 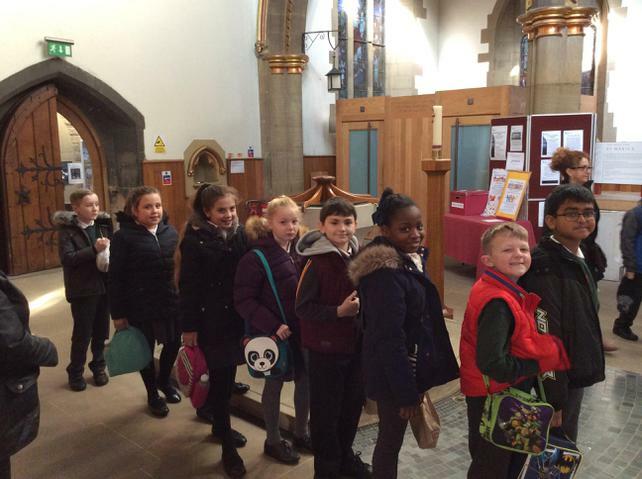 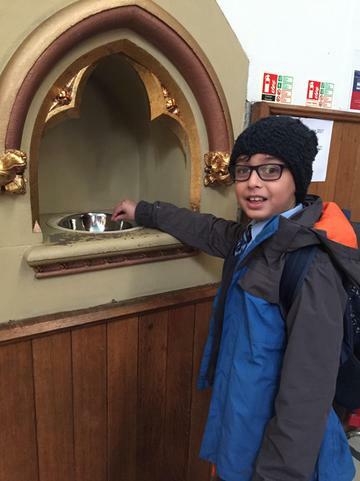 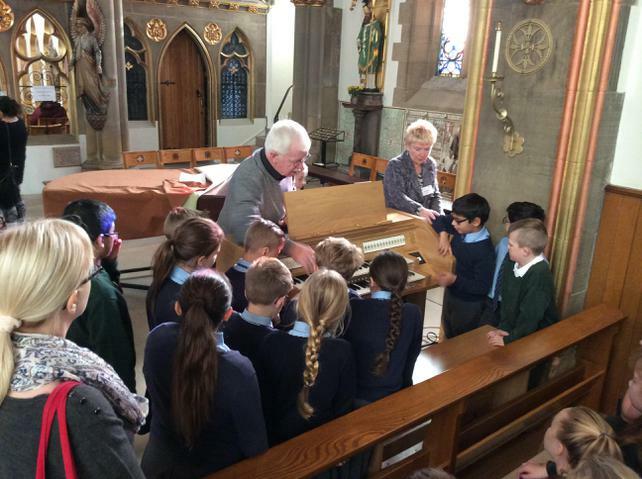 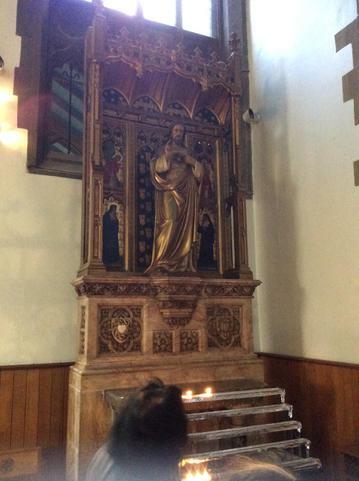 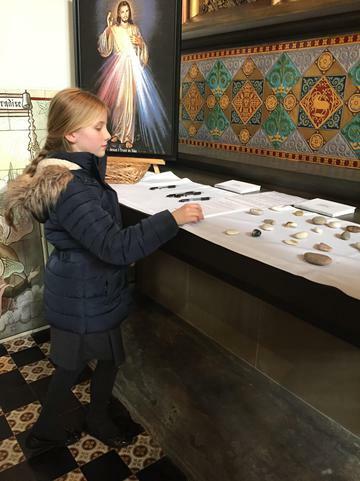 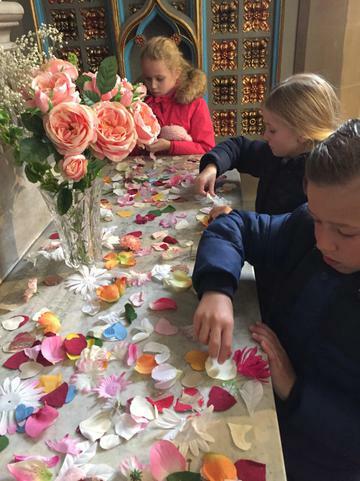 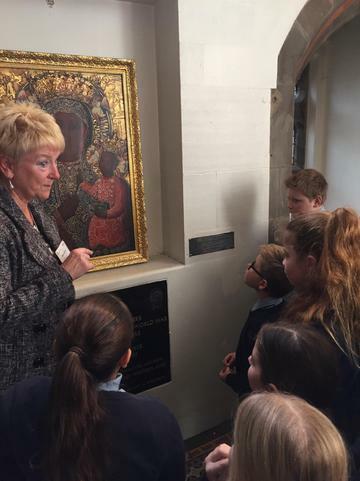 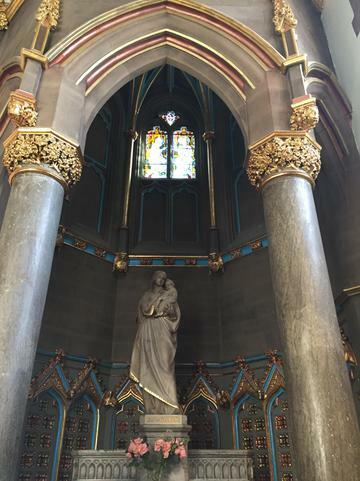 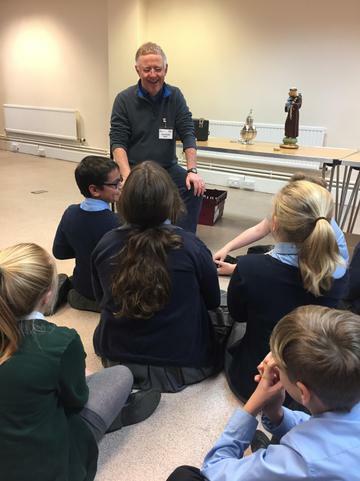 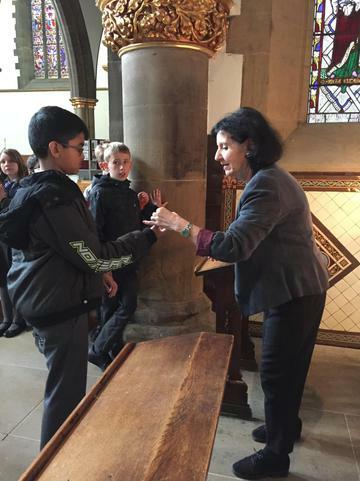 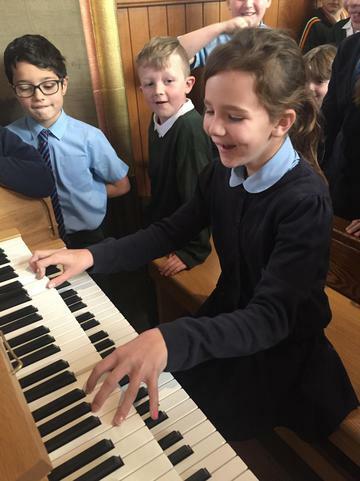 Year 5 enjoyed a wonderful visit to the St. Marie's Cathedral in Sheffield. 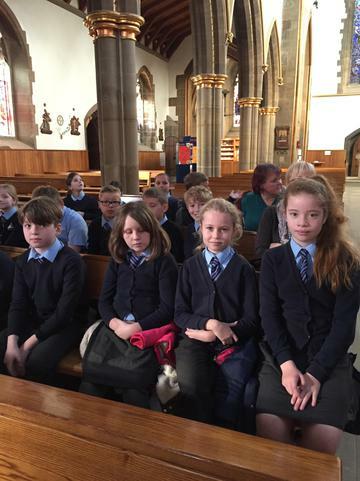 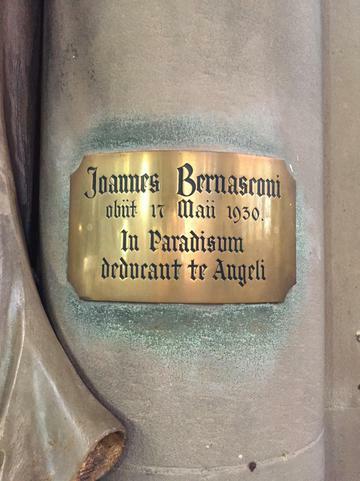 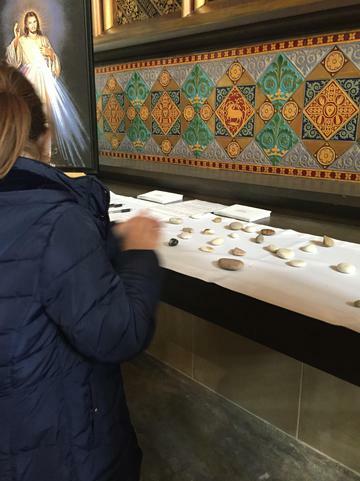 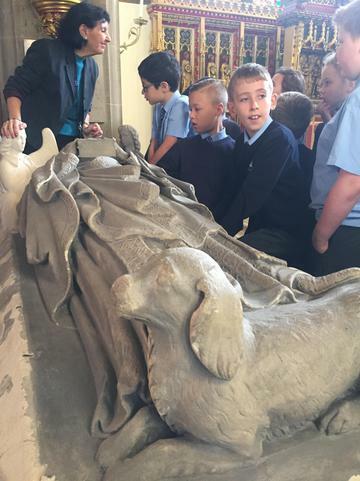 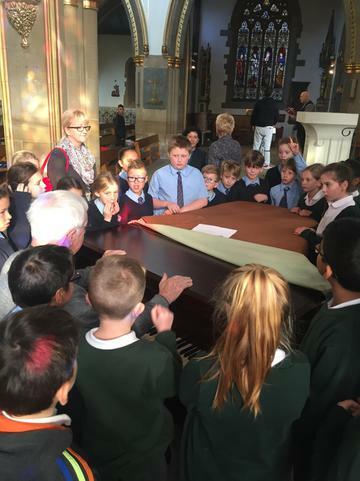 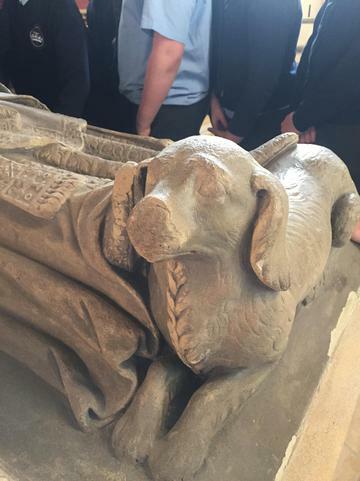 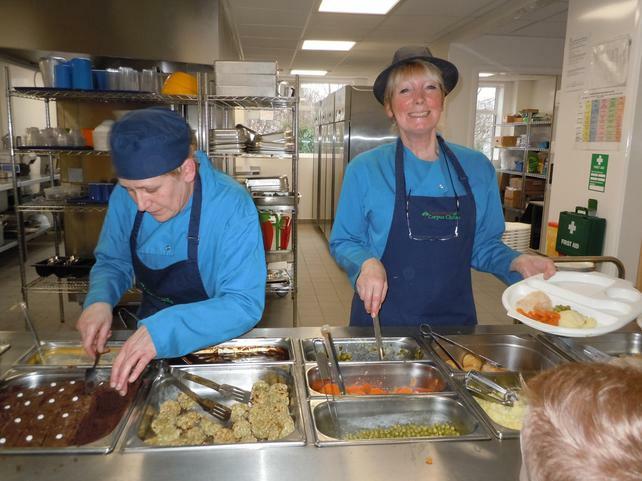 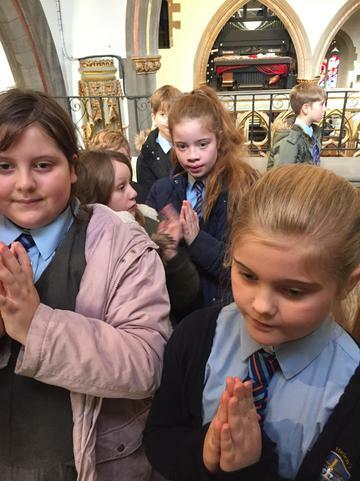 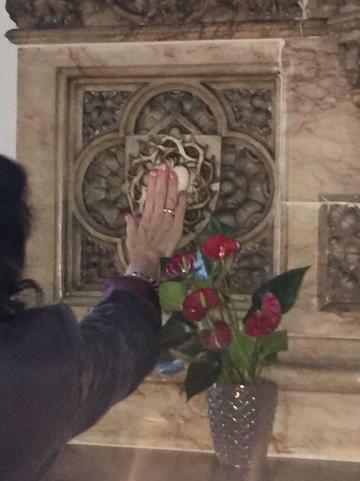 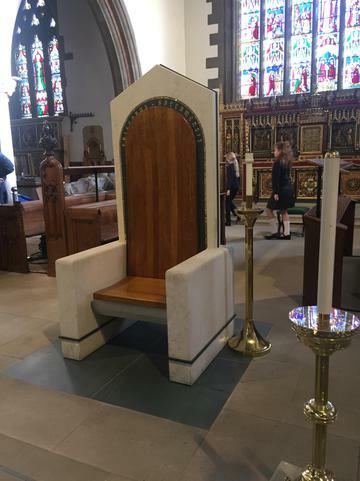 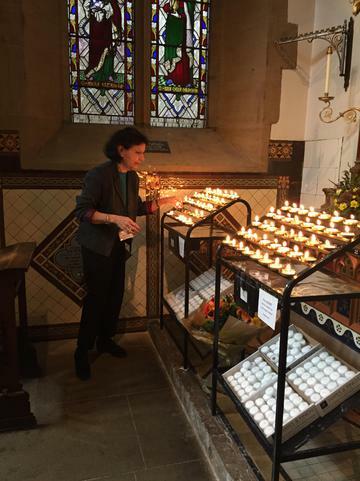 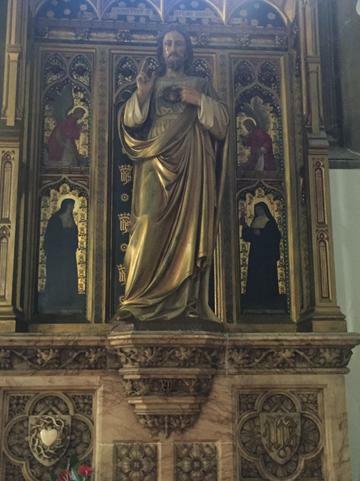 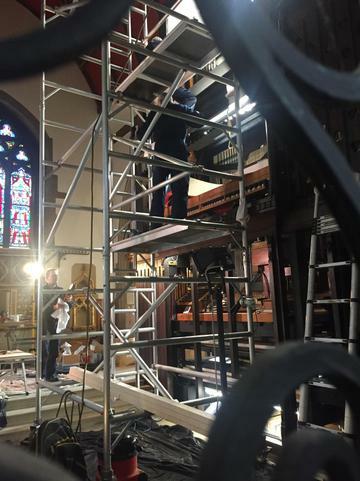 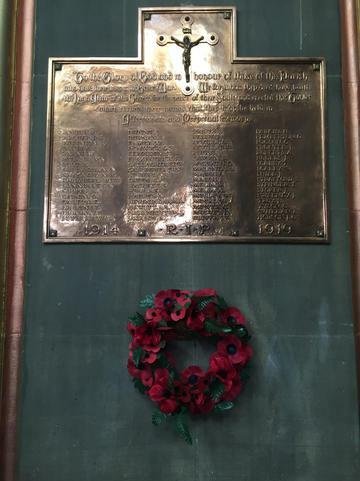 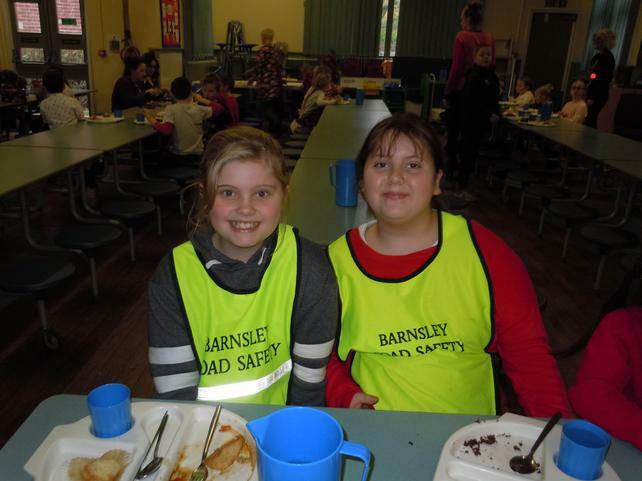 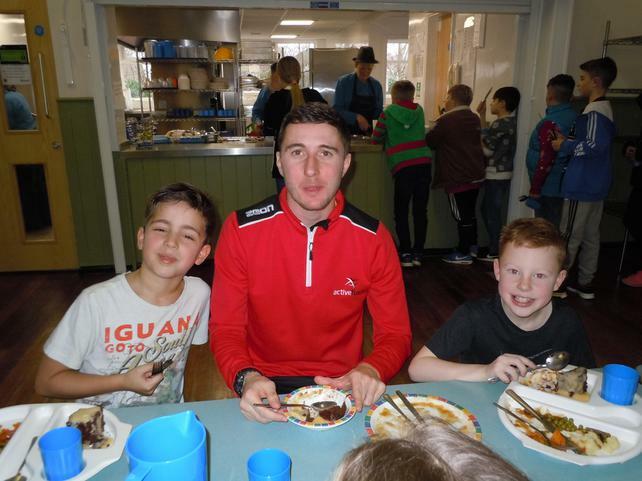 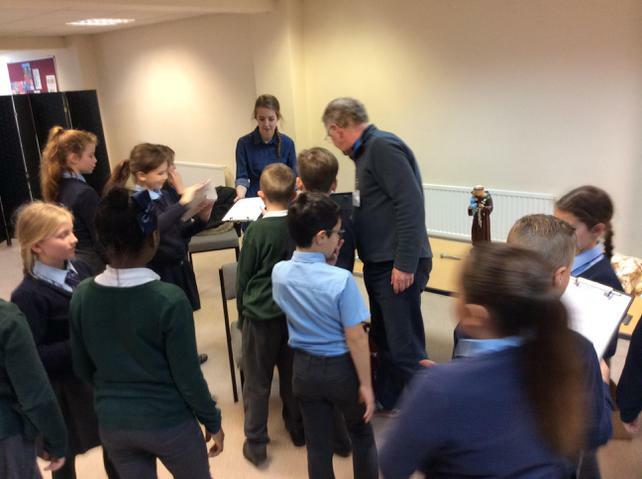 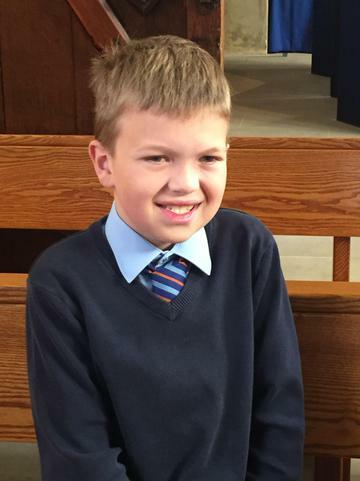 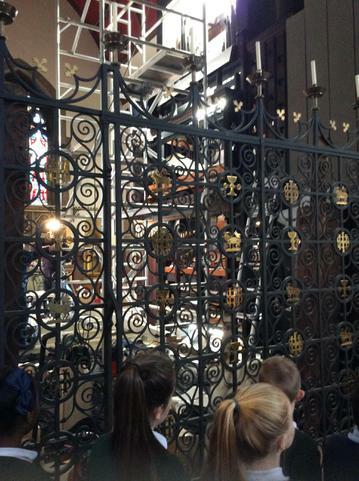 Their behaviour and conduct was excellent and was commented on by the staff at the Cathedral. 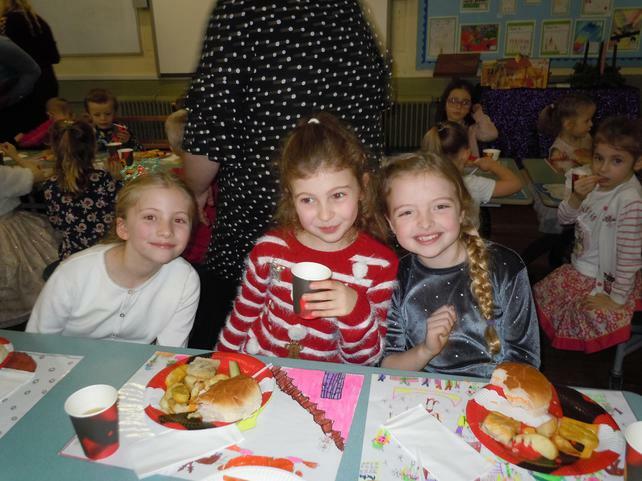 They did themselves and their families proud.